another operator for a period of time. 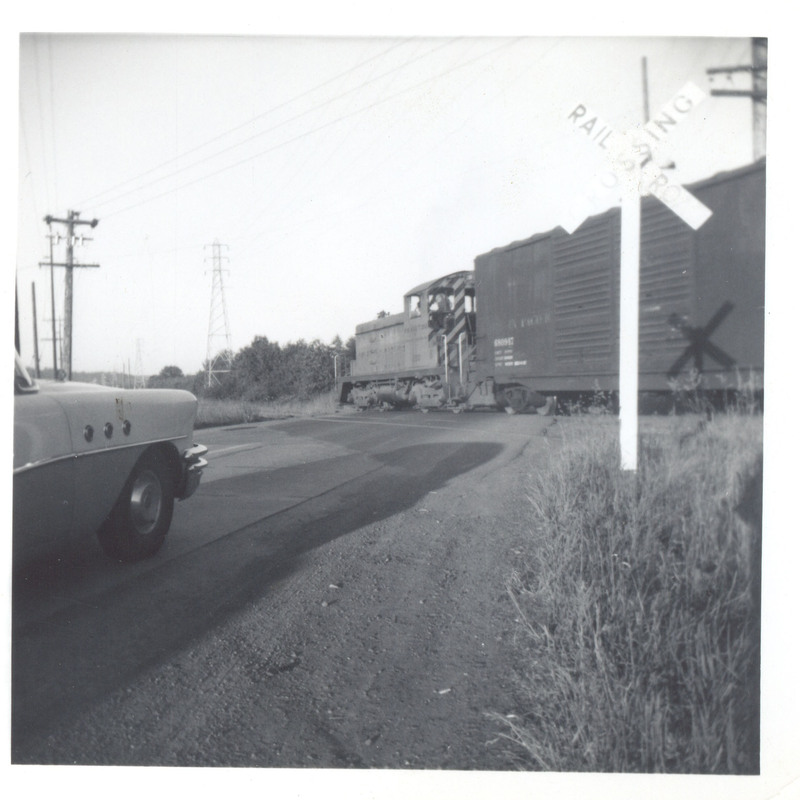 Union Pacific picked up the cars from the OPR interchange. 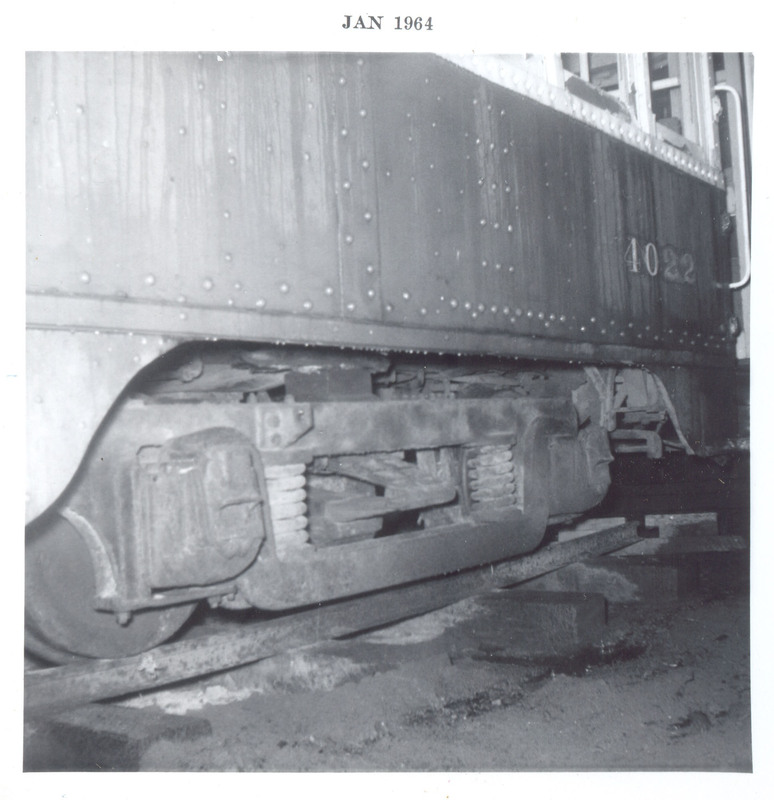 street and an additional spur will be built to allow the storage the OPR's Santa Rosa passenger car next to Mr. Samuels home. 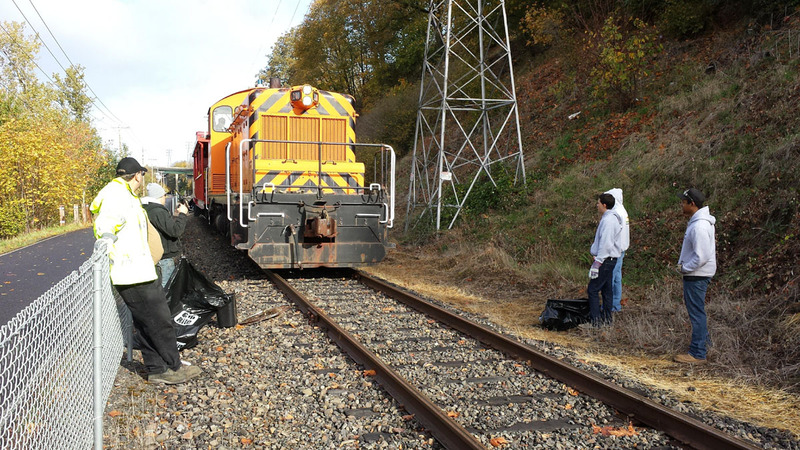 OPR Crew Replaces Rails and Ties in "the pass". 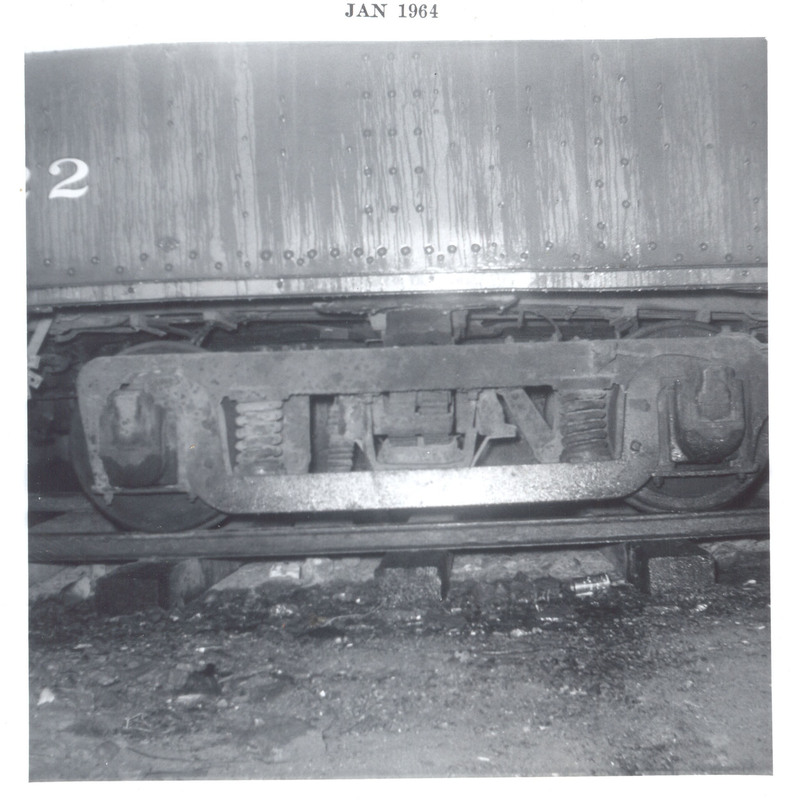 spur to store the OPR's Santa Rosa passenger car near 9th street. July and is expected to remain on display through the end of the end. 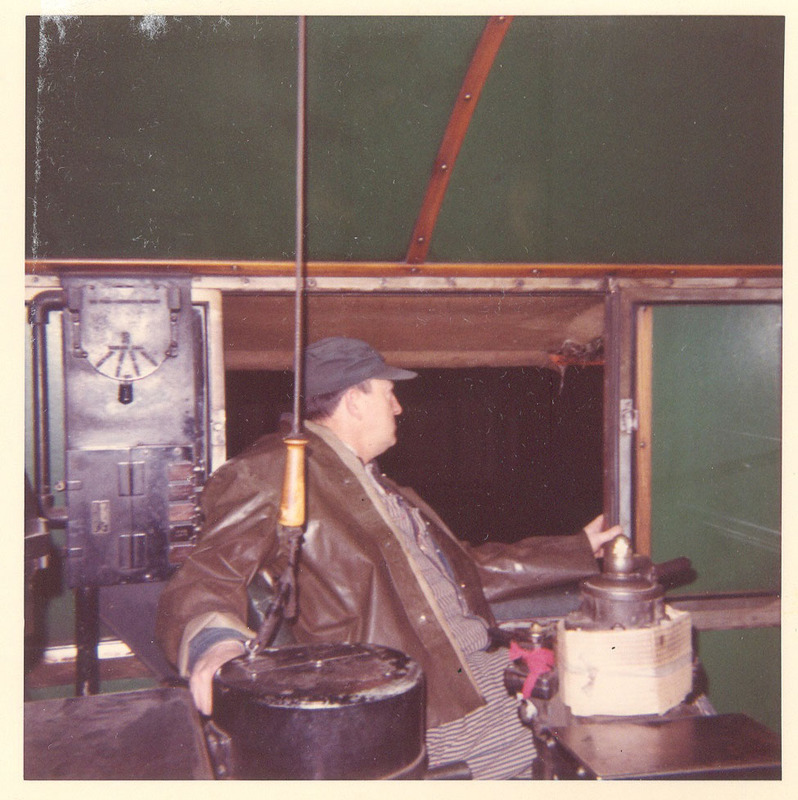 Visitors to the ORHC can tour the caboose. 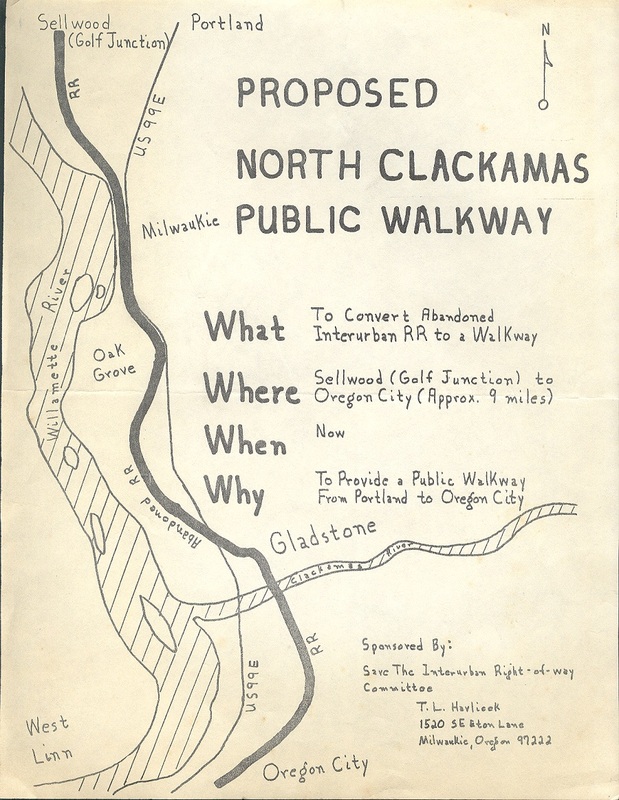 and ride the train to Oaks Park for a nominal fee. 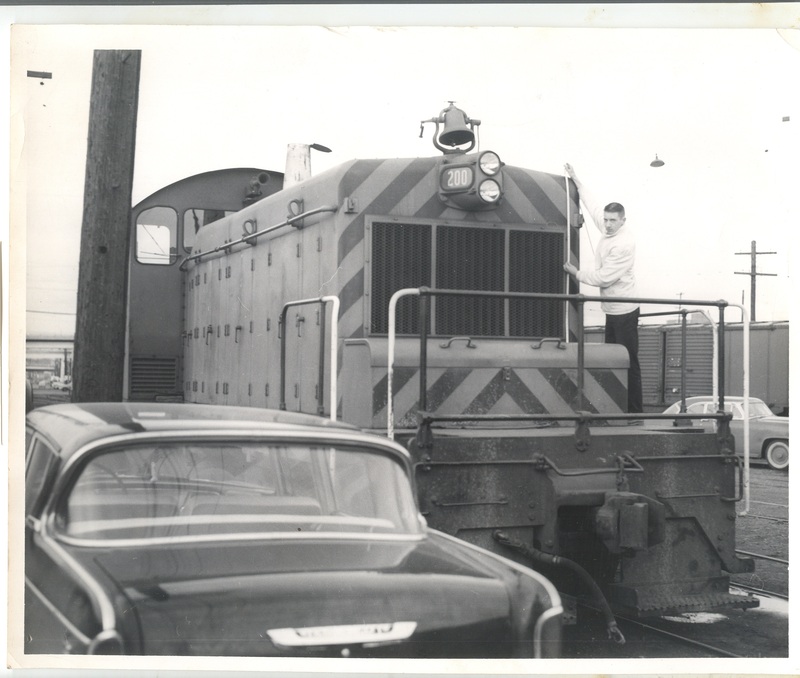 open air car and 900 caboose, plus an additional EPTC caboose and Chris McLarney's UP caboose. 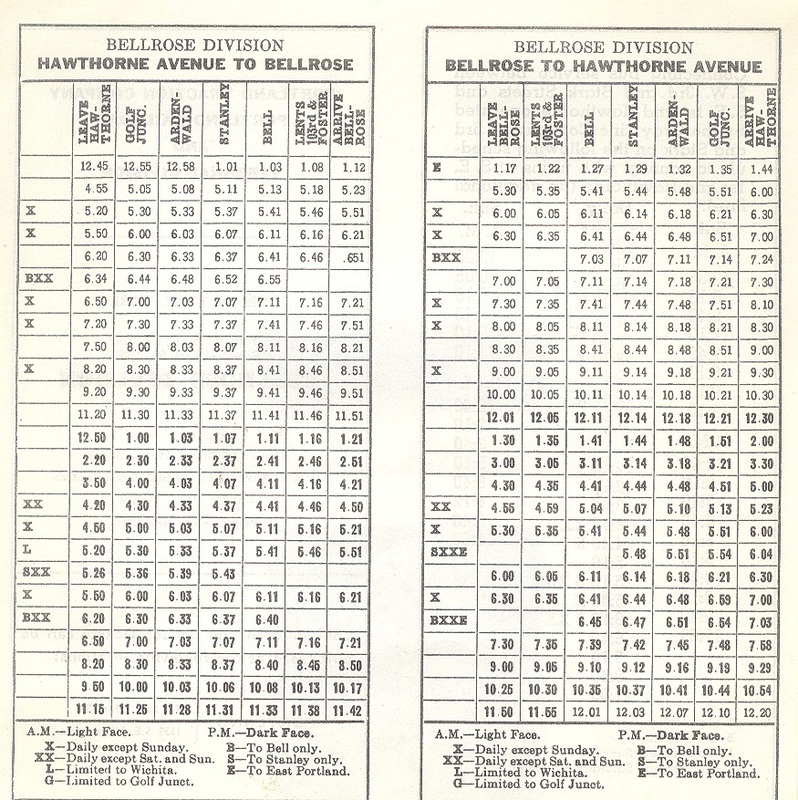 day will be much different than our normal Saturday public train excursions. 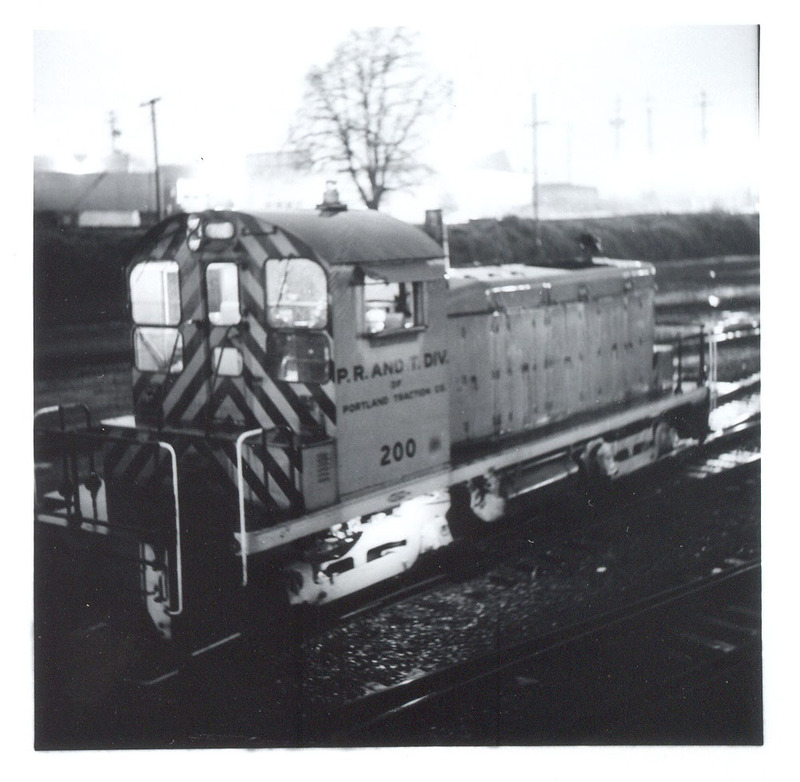 continue it duties as the American Steel Switcher. OPR Special Labor Day Event a Success. and the public. (see below post for more info). This event was a success and we look forward to next year's labor day event. 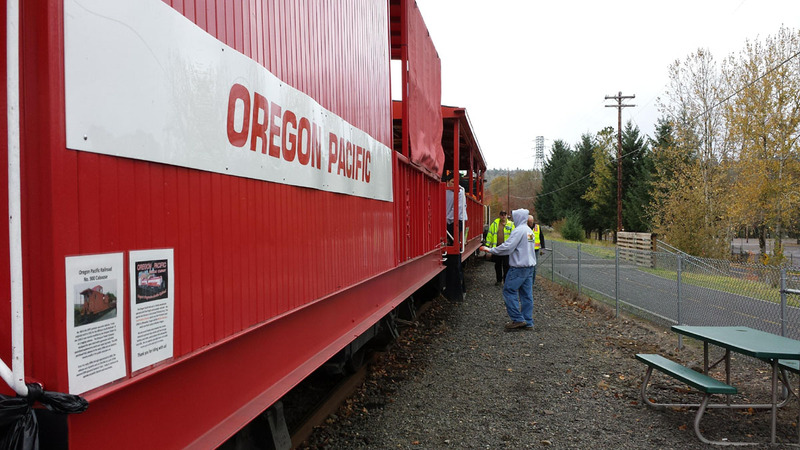 Chris McLarney's Restored UP Caboose Returns to OPR Saturday Public Excursions. least this Saturday and possibly the following Saturday. 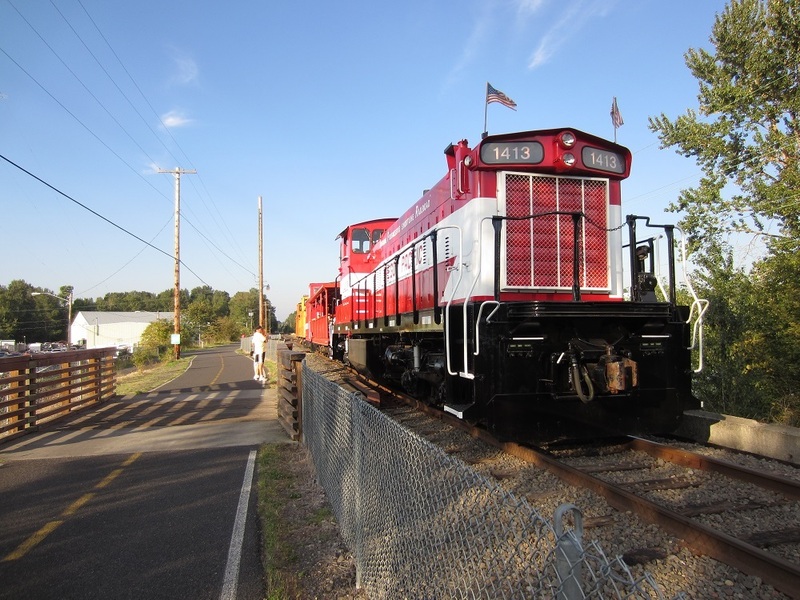 For more information please visit our public train rides page. 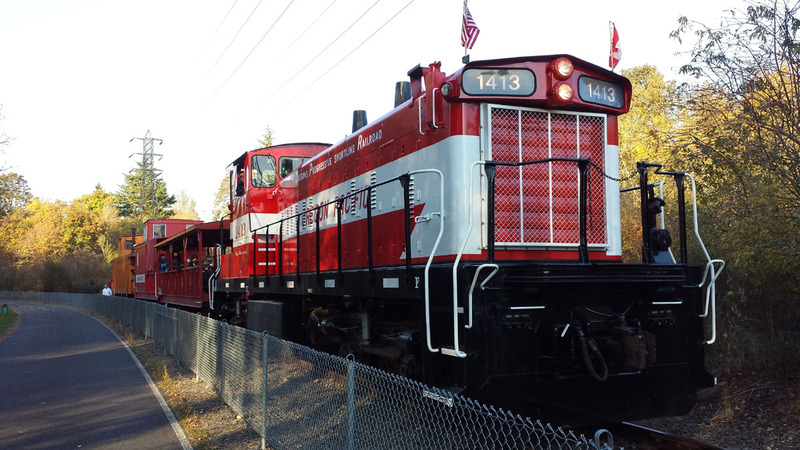 expect our last public passenger train of the season will be September 28th. 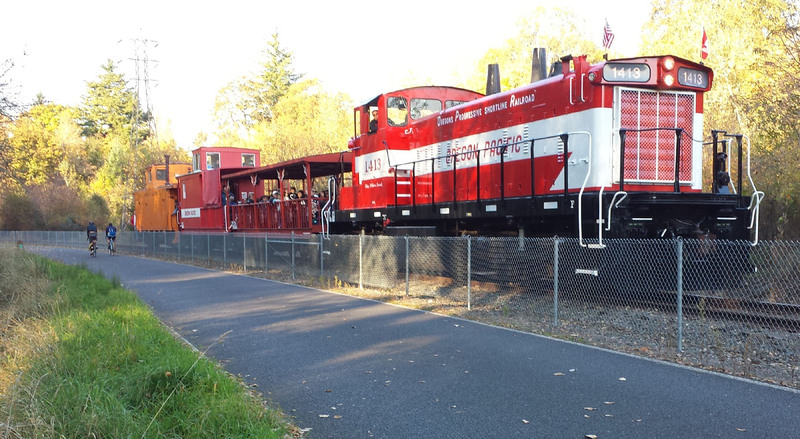 main page of our website and our public train rides page for the latest information. Latest schedule will be updated daily. 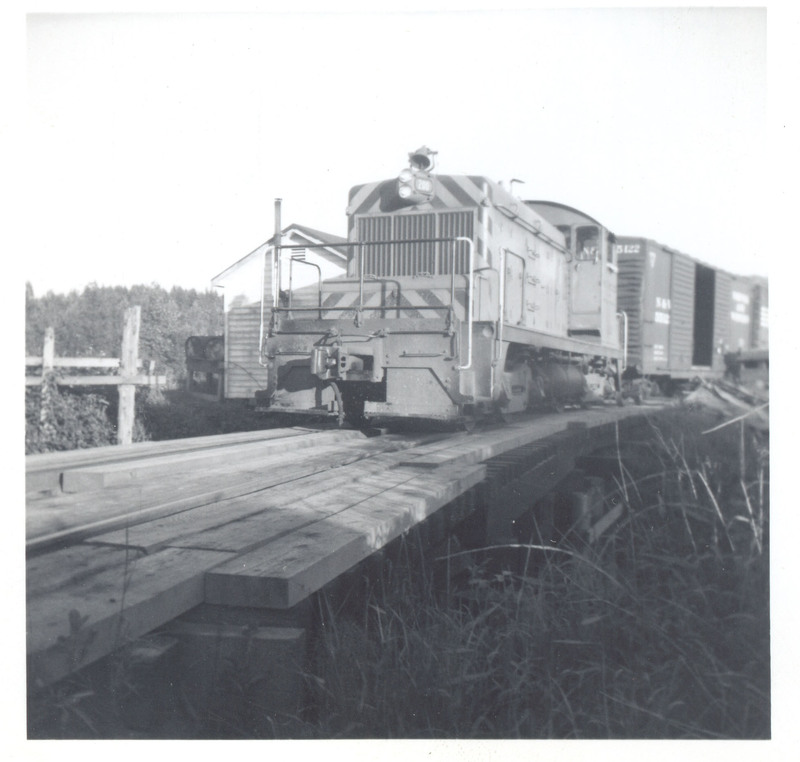 construction of the branch in September 1913. 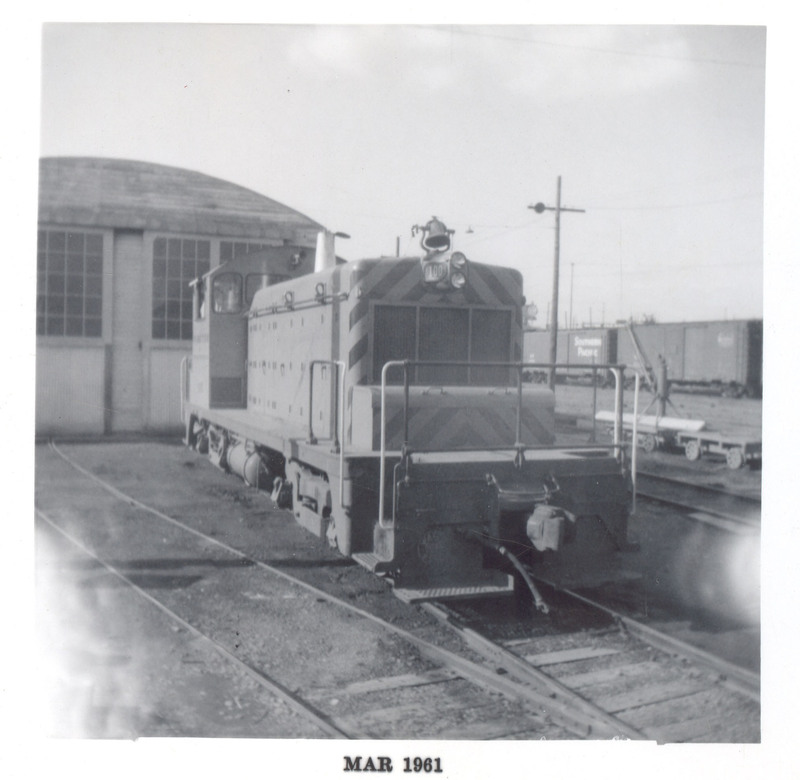 The first passenger train arrived in Molalla on September 19, 1913.
often in mixed trains. 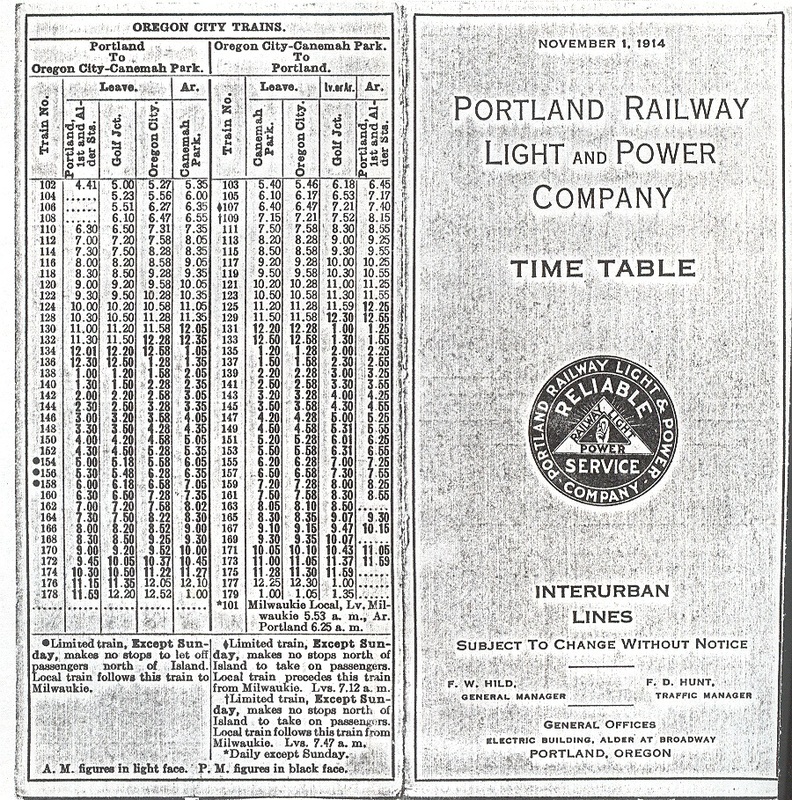 Trains rarely ran more than twice a day, with the possible exception of the busy war years of WW2. 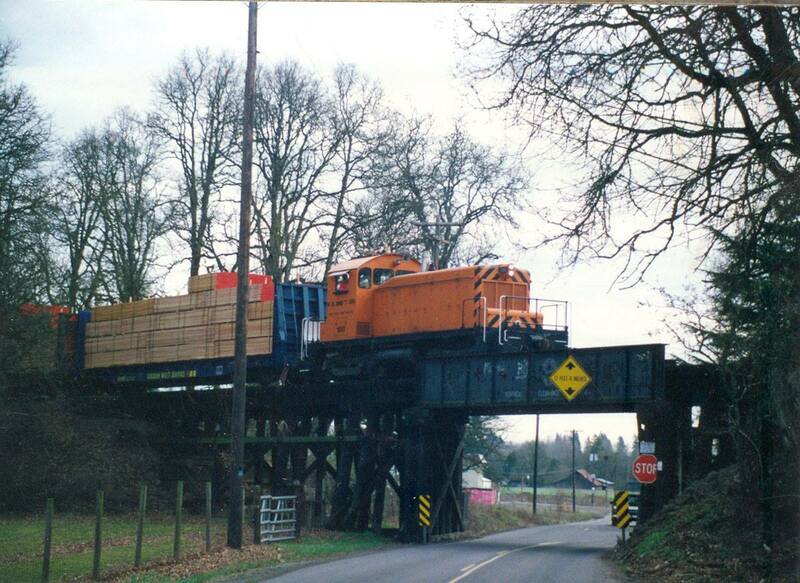 customers along the branch existed near the end of the branch line in Liberal and Molalla. OPR and our company is doing everything possible to keep this line operational and flourishing for many years into the future. 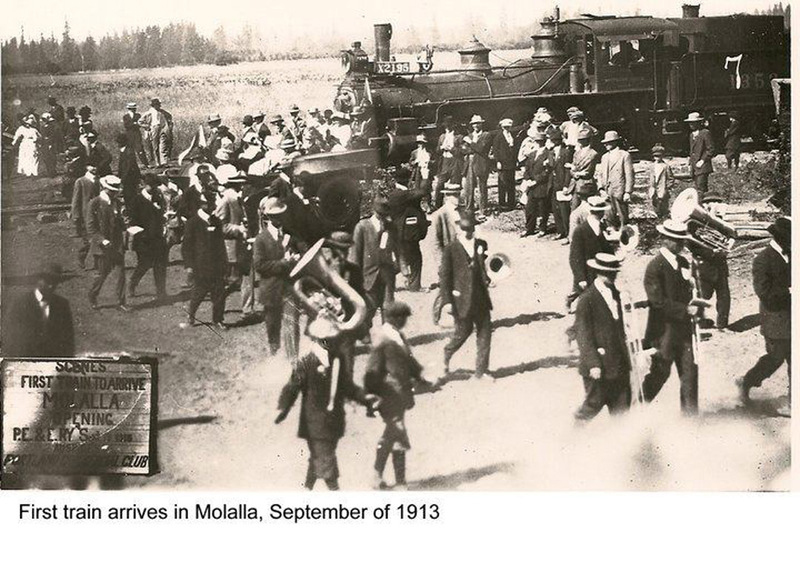 The first passenger train to arrive in Molalla on September 19, 1913.
having the large Steam Locomotives to operate on the OPR. weeks ago and will continue as needed. be sure to check it often and pass the link around to anyone who might be interested. 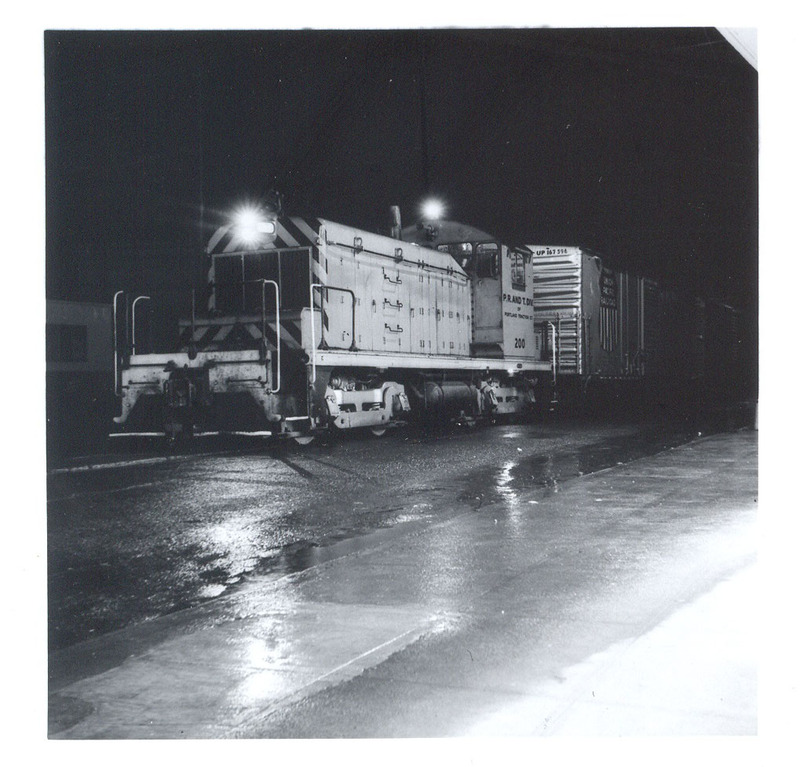 switching including pulling empties into East Portland, bringing loads back and switching out AmeriCold. 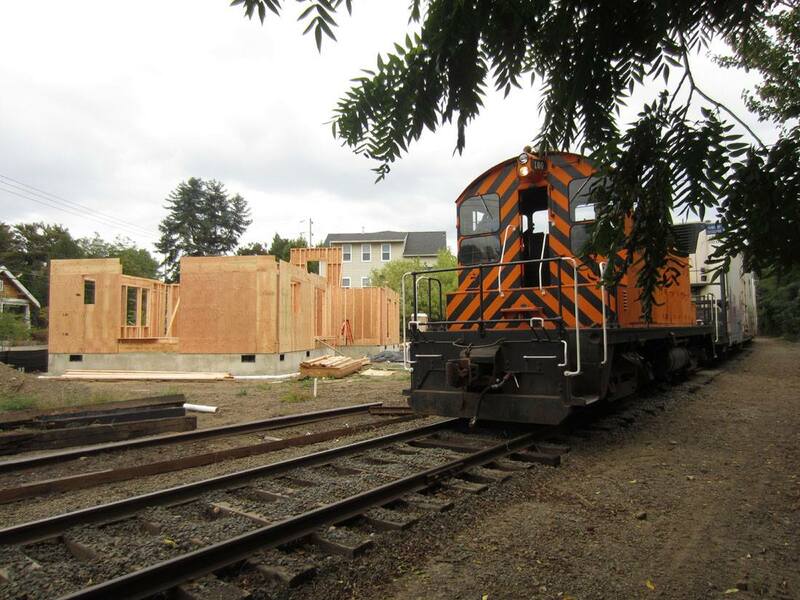 Branch, Richard is building a new house right next to the East Portland Division near 9th and Linn Streets. ORHC. 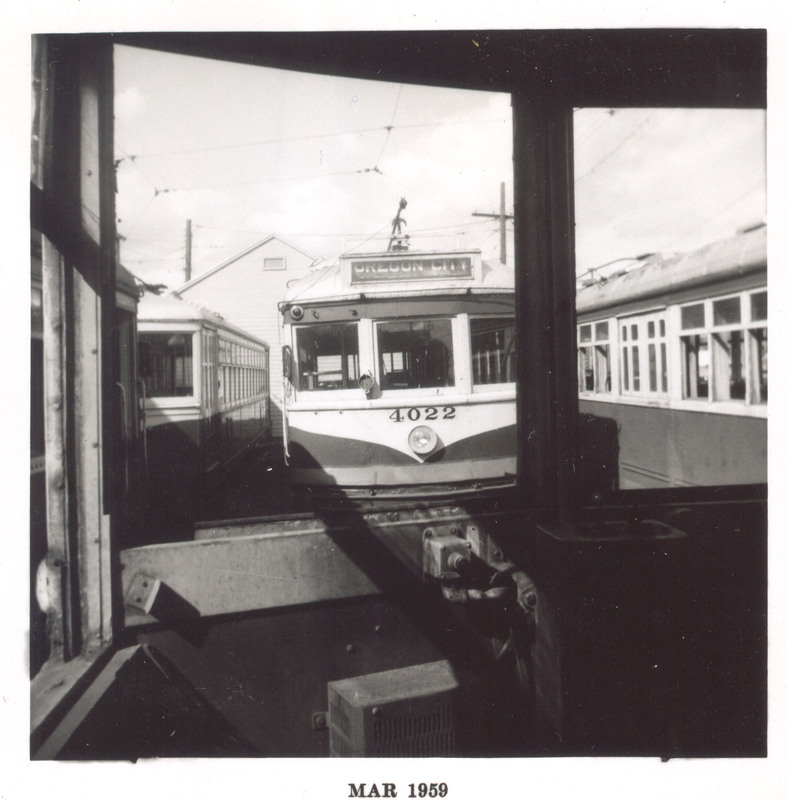 Nothing will change at the Oaks Park Station. expected to be an interesting show. 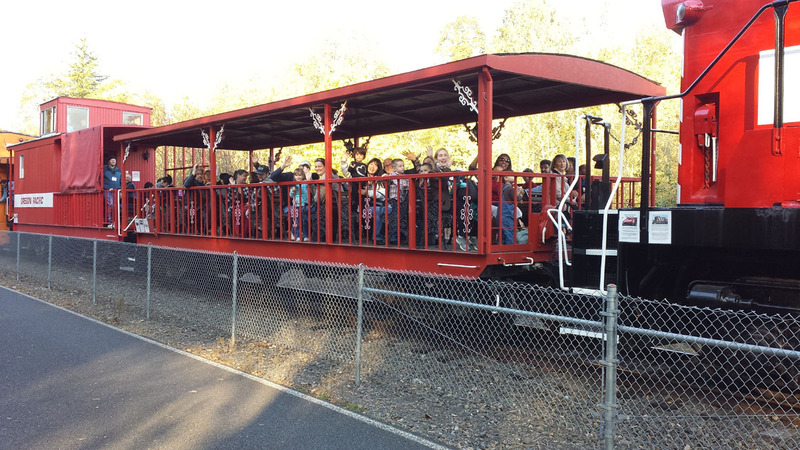 As normal, riders can ride a later train back to Oaks Park. 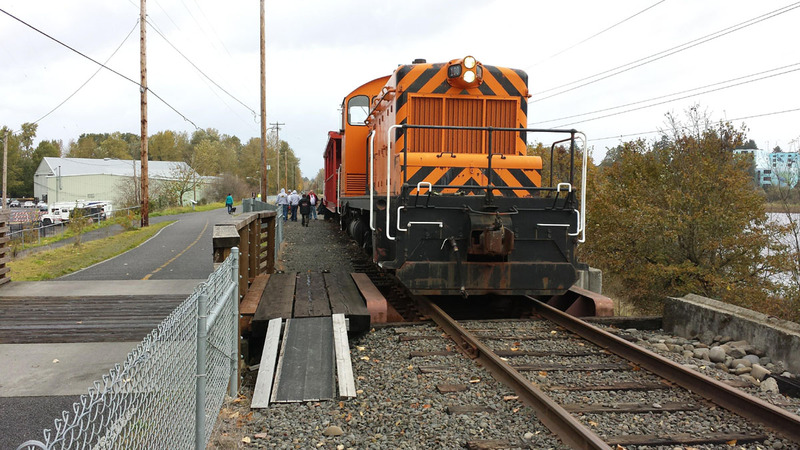 The OPR is expecting to continue its Saturday Train Rides through October. 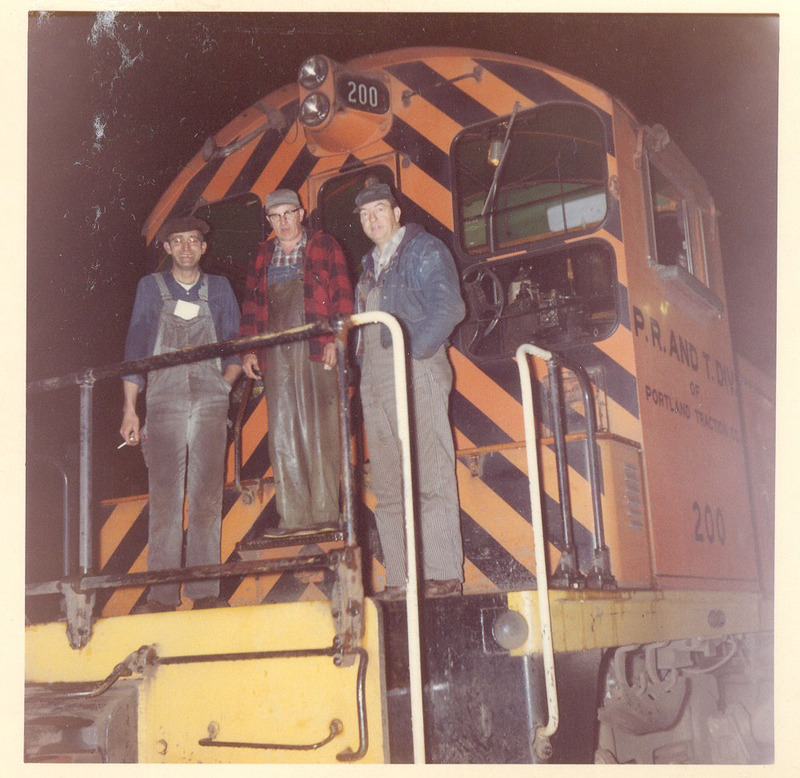 This is also the last weekend for 2013 to ride Chris McLarney's restored UP caboose! Randy Nelson took these photos of the No. 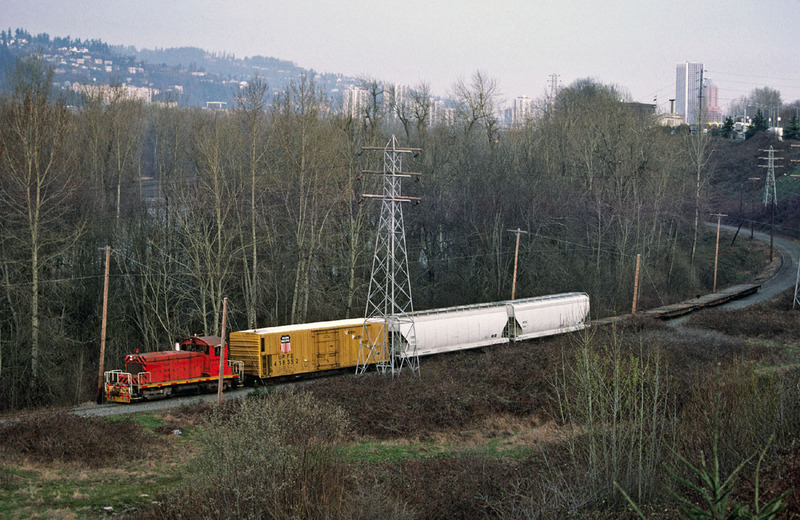 100 southbound at Holegate Curve in March, 1986. Saturday. 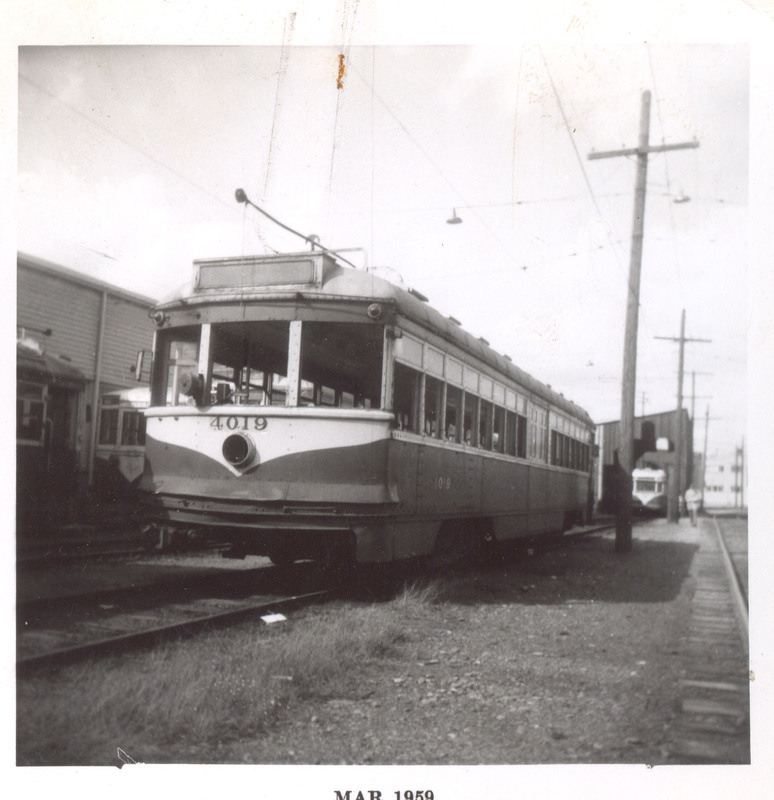 The OPR will operate Saturday public excursions through the end of October so four more Saturdays to go. 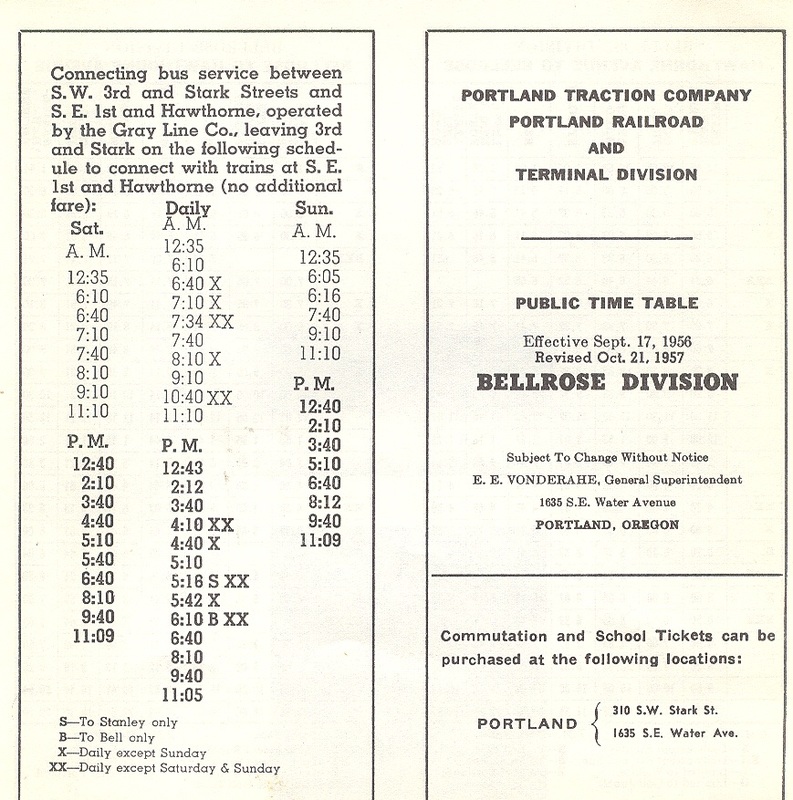 Saturday Excursion Schedule and info. remain there through the winter. 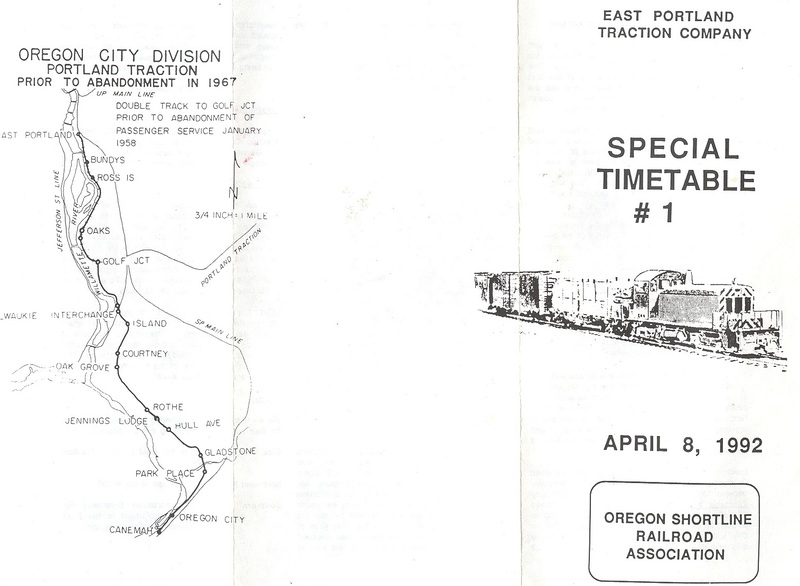 We expect it to brought out again next spring when the OPR resumes public excursions. 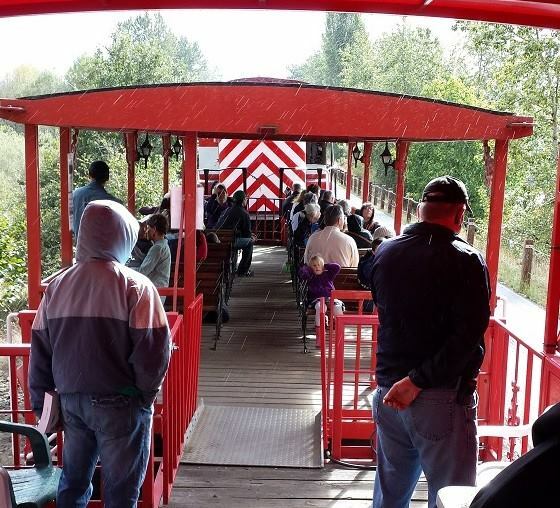 The OPR has one last Saturday left of public train rides between Oaks Park and the Oregon Rail Heritage Center. Thanksgiving Weekend and last well into December. 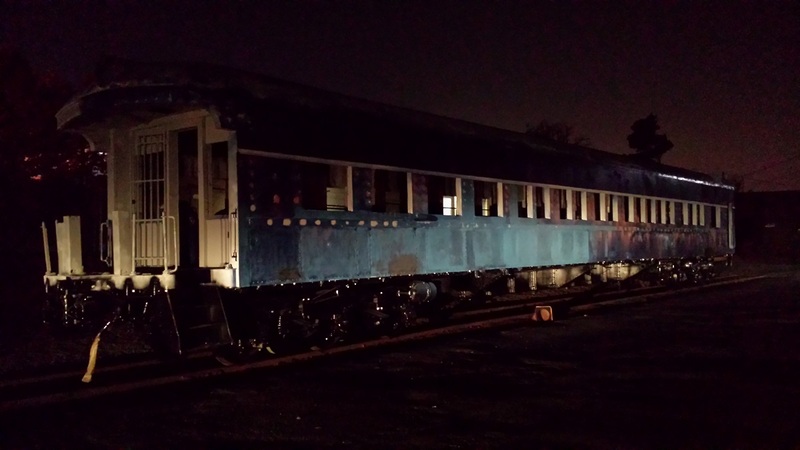 stored on the Oregon City Spur where it will likely remain during its restoration and future use as a private club house. 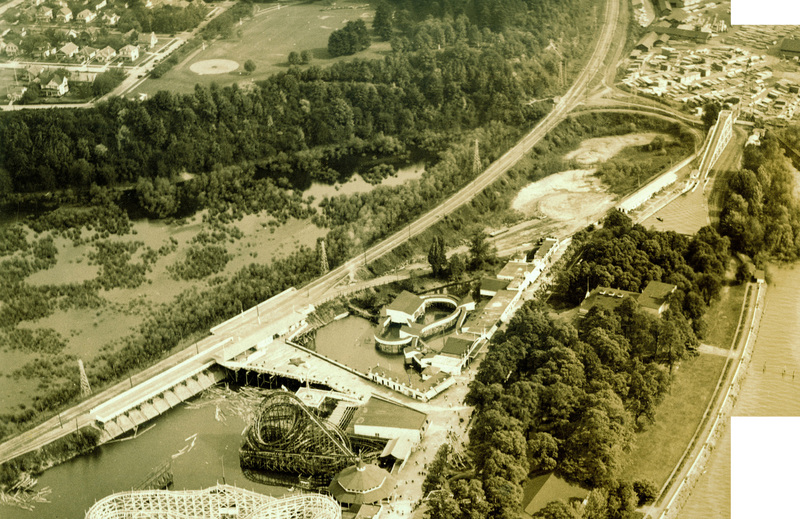 we expect to return next year for a full spring, summer and fall season in March of 2014. Special thanks to all of our volunteers, our riders and ORHF for helping to make this season a success. and work is now its 3rd week. 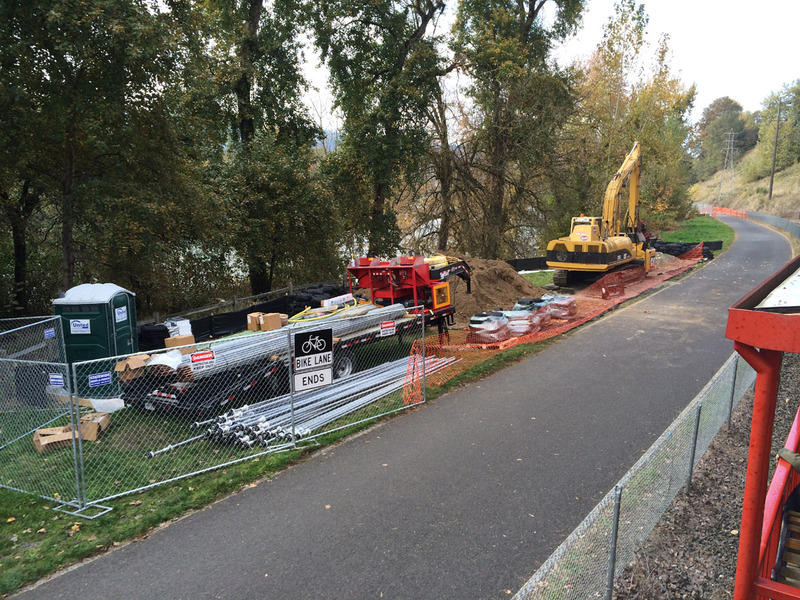 Repairs of the minor slide appear to be extremely extensive, although slow in the making. during the week, during normal working hours. 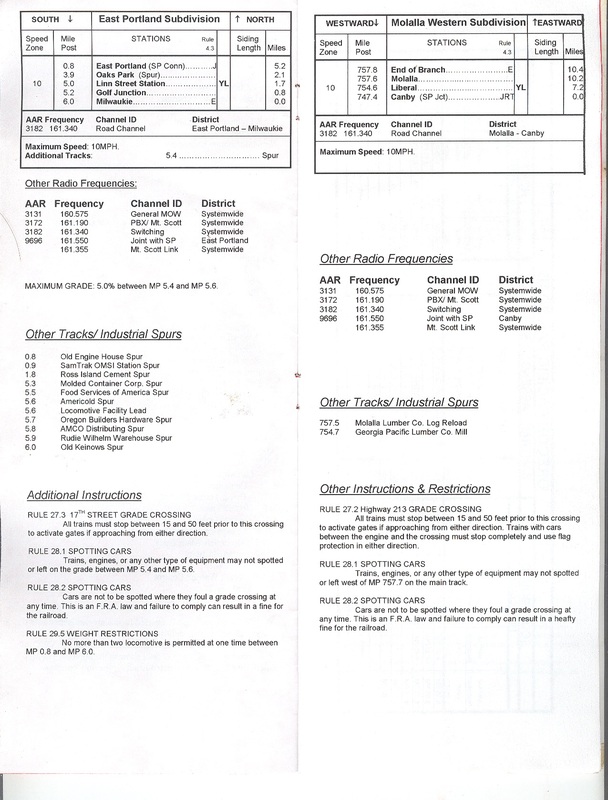 service through most of 2013 and 2014 for boiler inspection and rebuild. 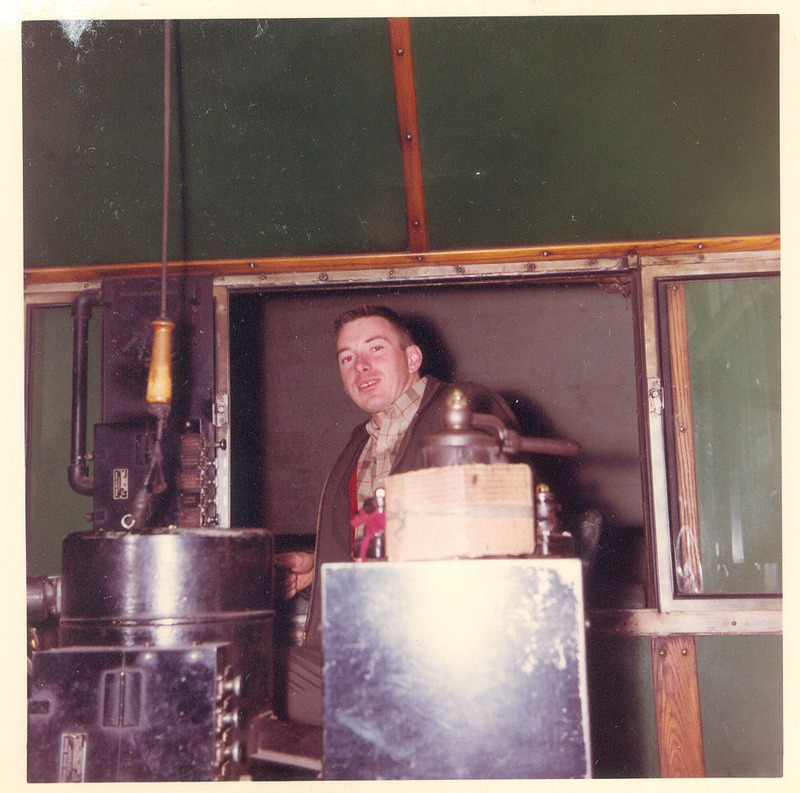 entering service again on the OPR. 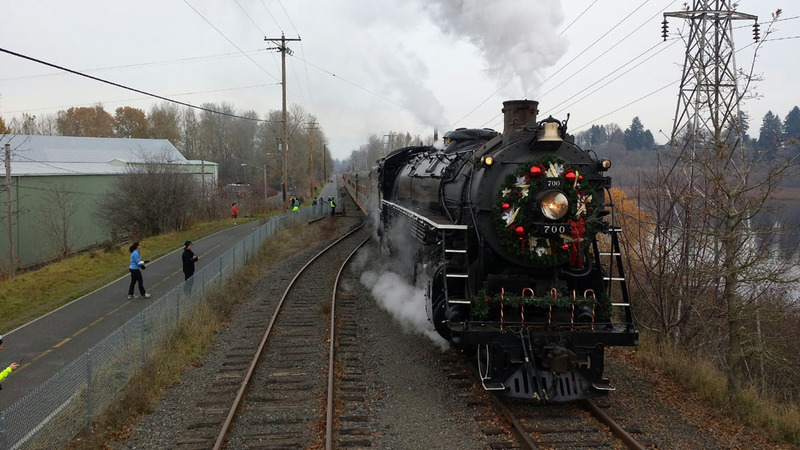 For more information about the Holiday Express, please visit the ORHF website. stops at Oaks Park. 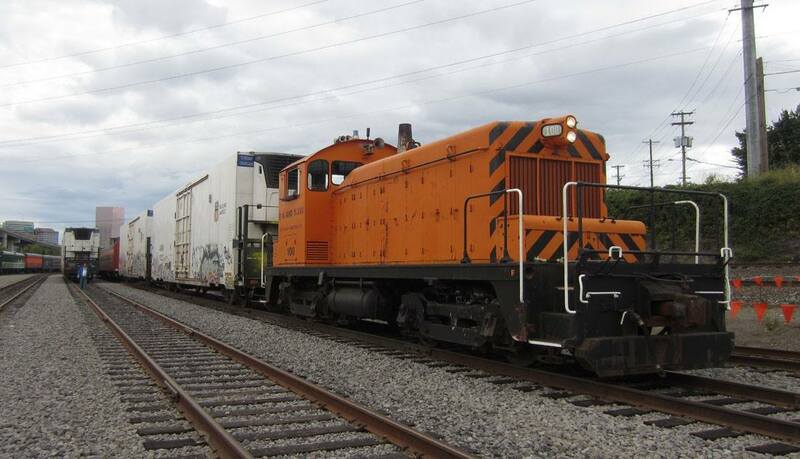 Trains would operate on the hour during ORHC operating hours of 1pm to 5pm and on Saturdays only. passenger service, our Santa Rosa business car. 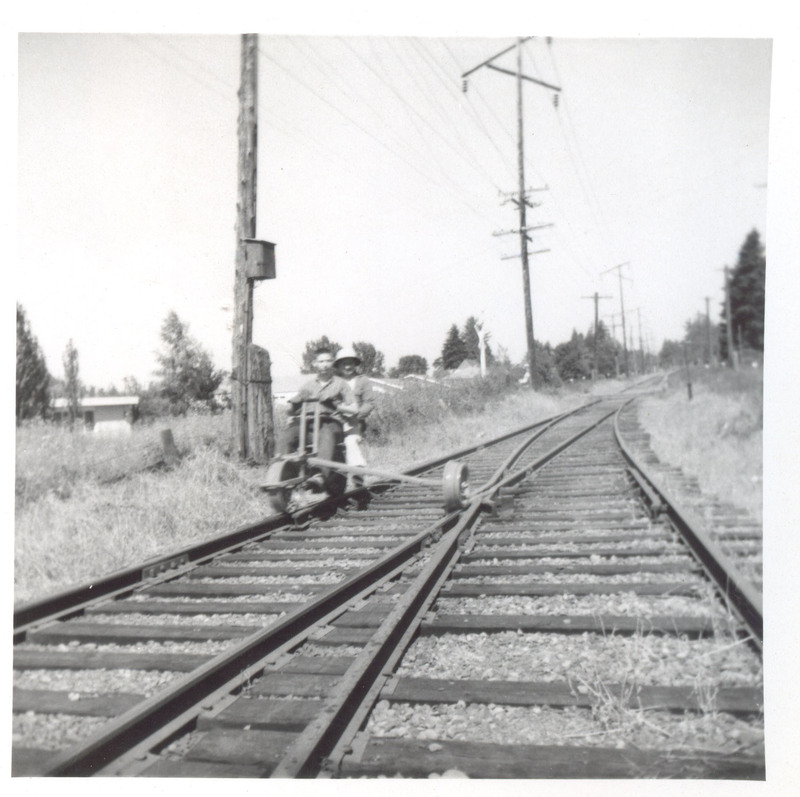 Stay tuned to our passenger rides general information page and our passenger rides schedule page for more info. 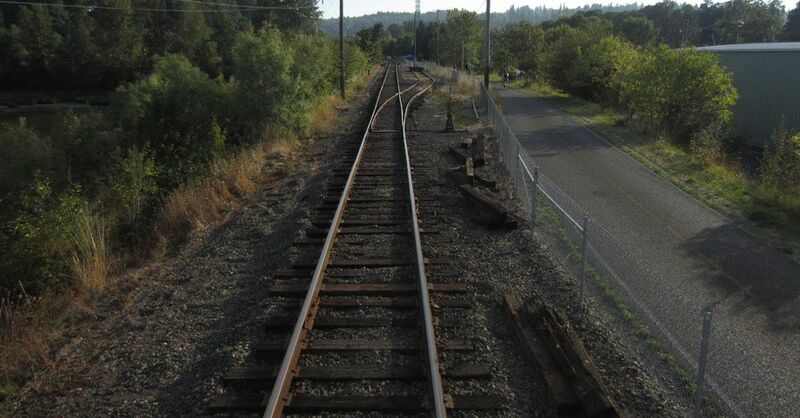 Last month, the OPR removed a short siding on the south end of the McBrod Ave Spur on the East Portland Division. 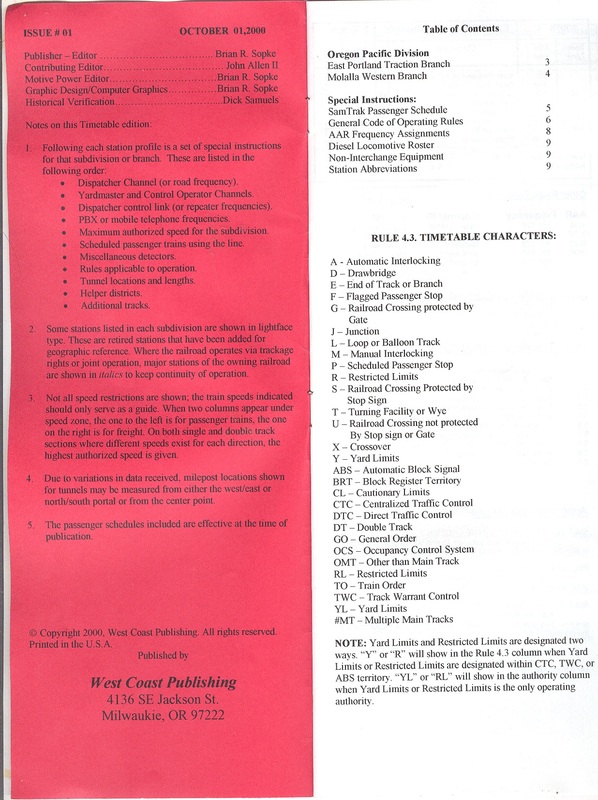 whereby the siding was removed with the rights reserved reinstall it, if a future business wanted to be served by rail. house. 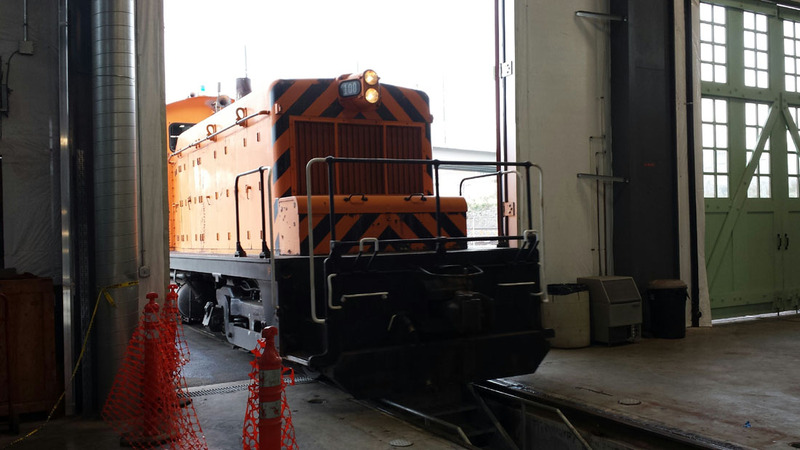 It's normally stored at Golf Junction, but is currently on the south end of McBrod Ave having the paint work completed. 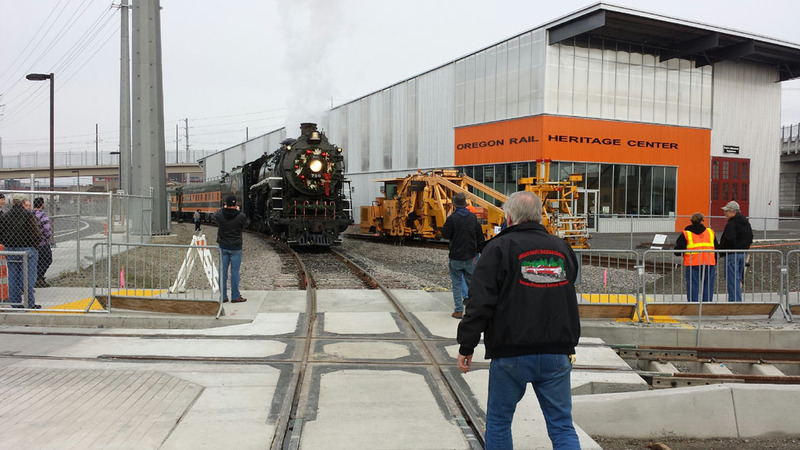 Construction is also the contractor who built the Oregon Rail Heritage Center. 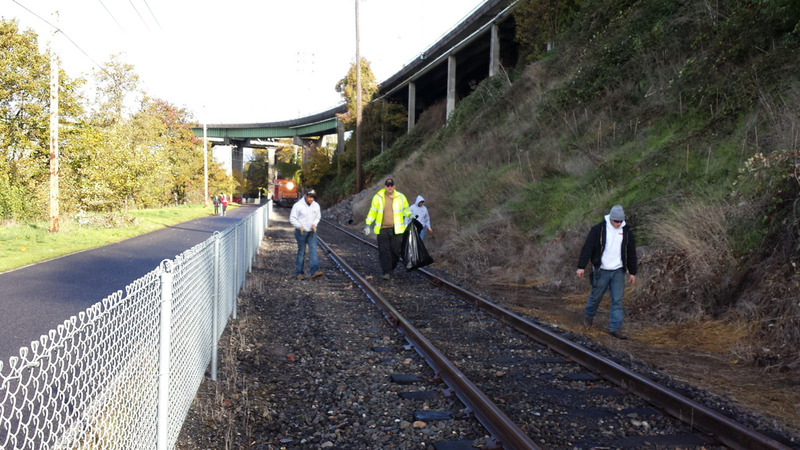 ORHF and the OPR teamed up this past Saturday to clean up the RoW in preparation for the Holiday Express later this month. consist for the clean up. 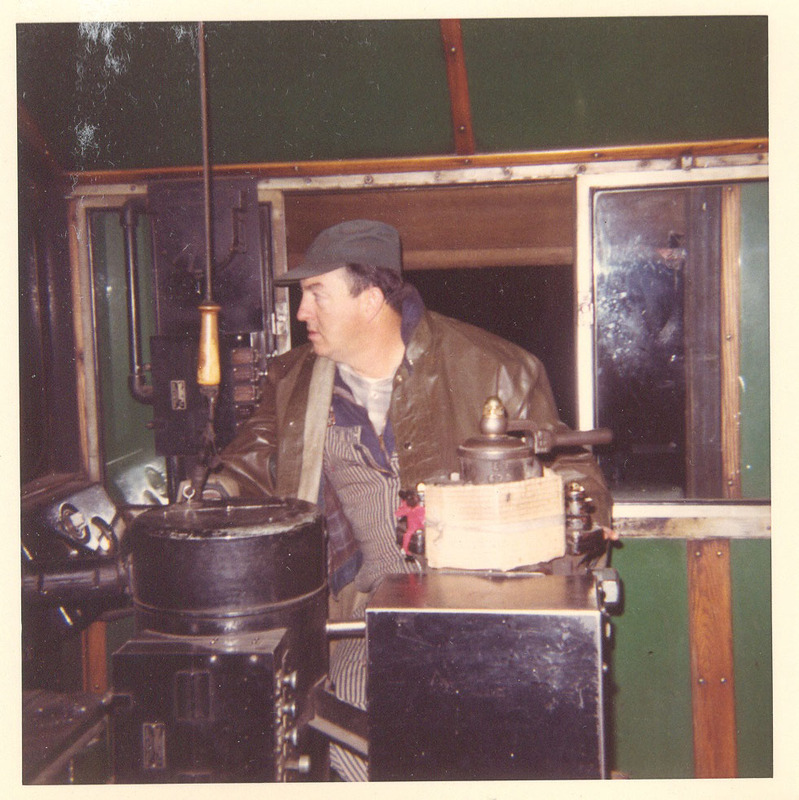 passenger to ride the train and $10 to ride in the locomotive. suspended if passenger count is too low. Also bad weather such as snow and ice will cause service to be suspended. We will have the latest updates on our website and facebook pages. Rosa business car. 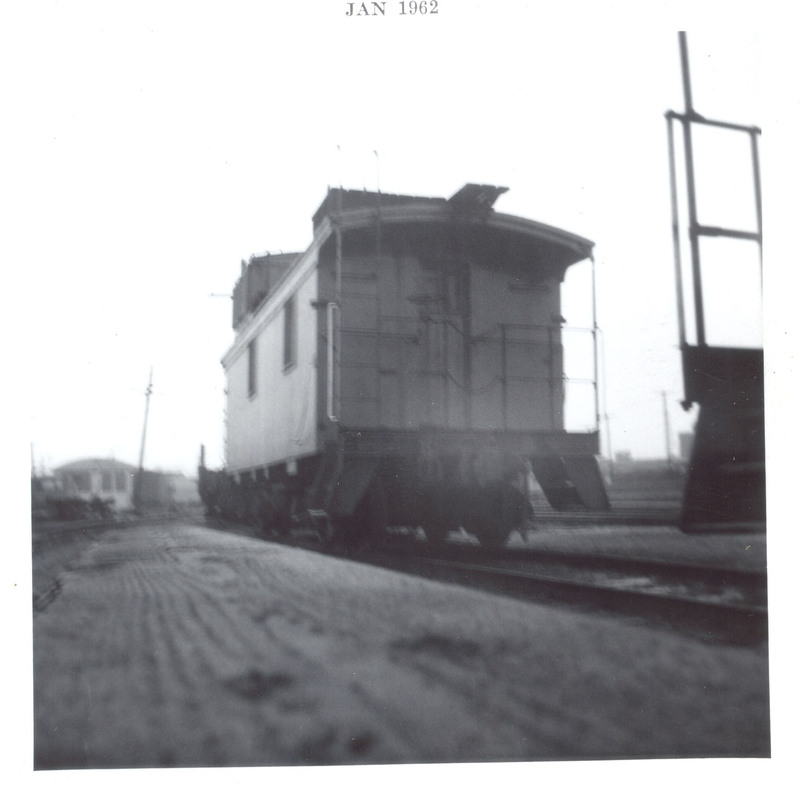 The Santa Rosa, being used for passenger service for the first time. 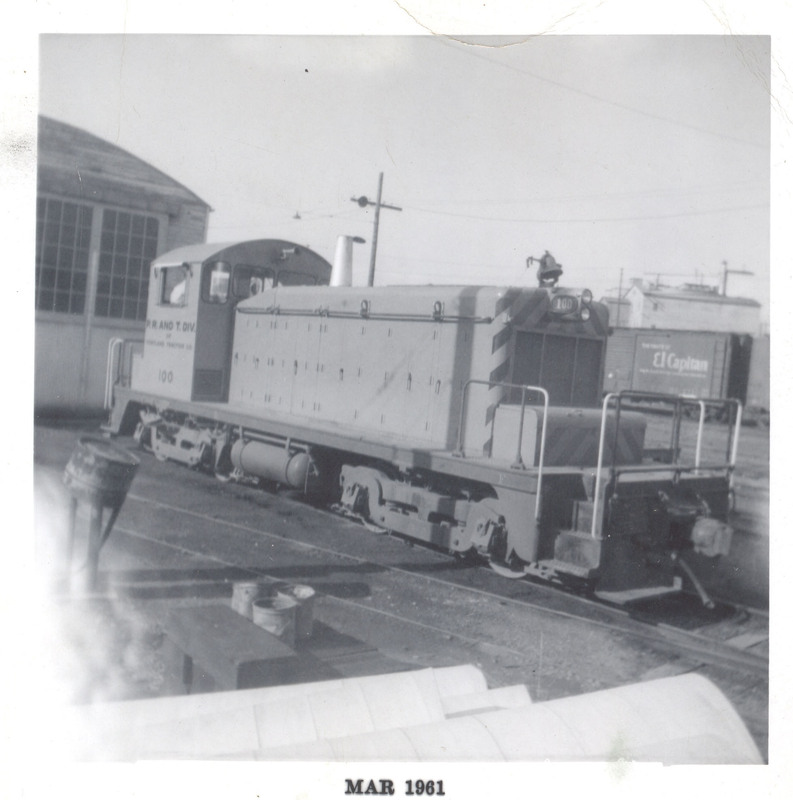 The OPR will resume normal summer Saturday operations, operating between Oaks Park and the ORHC on March 22, 2014.
historical documents we recently discovered an original builder plate for the No. 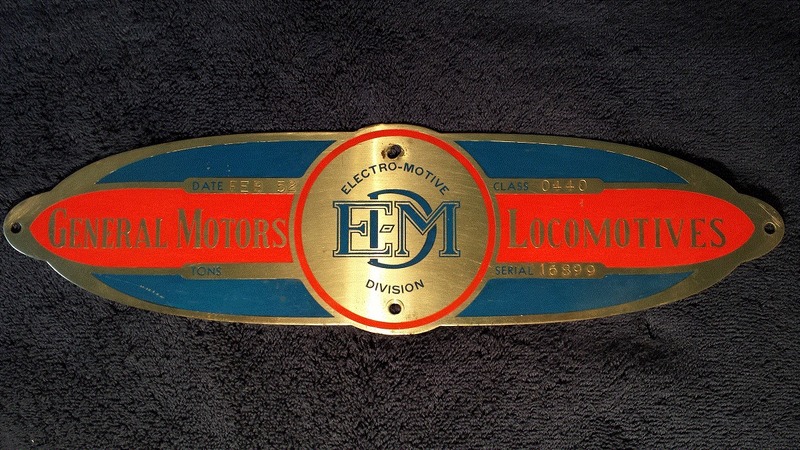 100.
said that Richard could have and keep the plate, which he did. 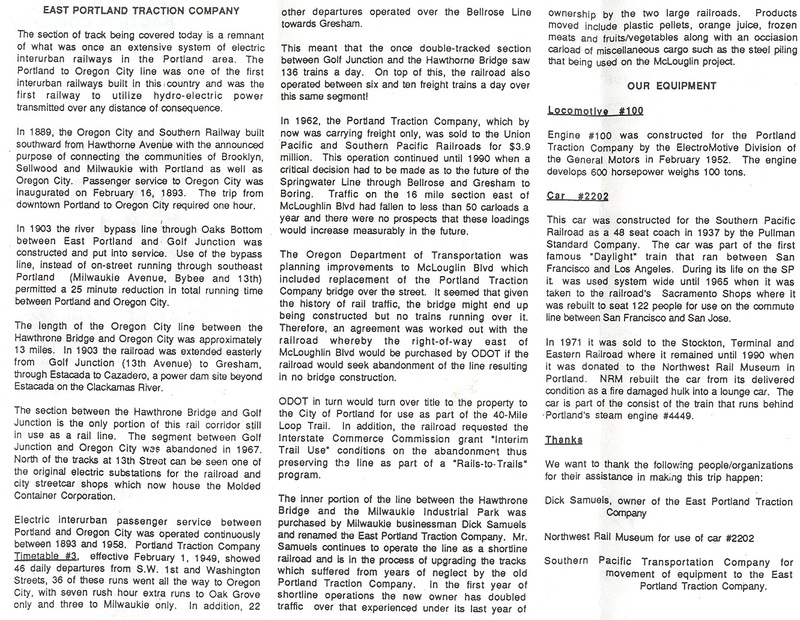 PRP&L were also posted on our Portland Traction Co. History Page. 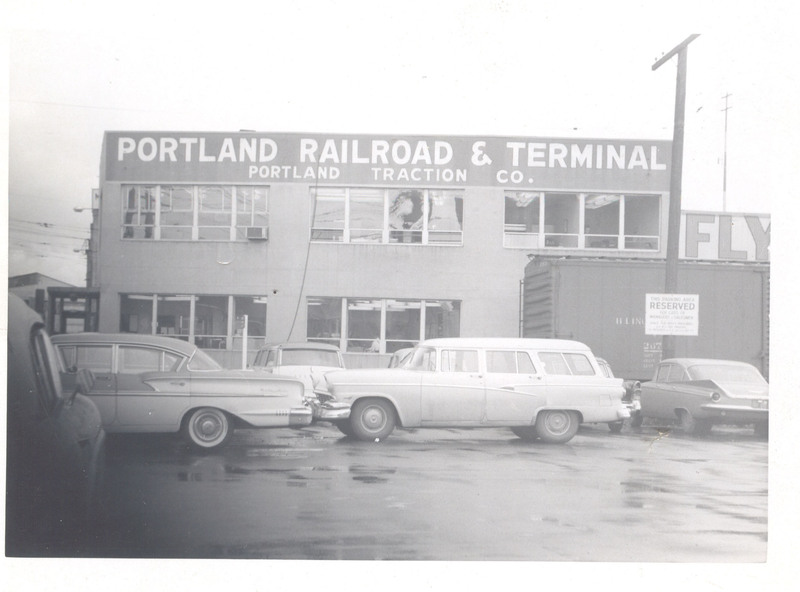 for East Portland Traction Co.
so be sure to check it out. other interested parties. 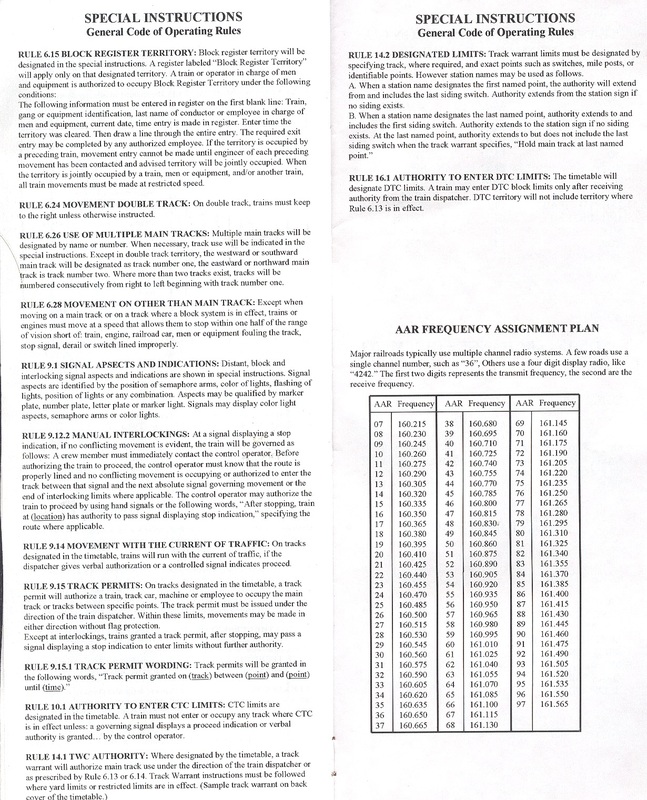 Check out our PTC No. 100 Roster Page for those letters and more info. 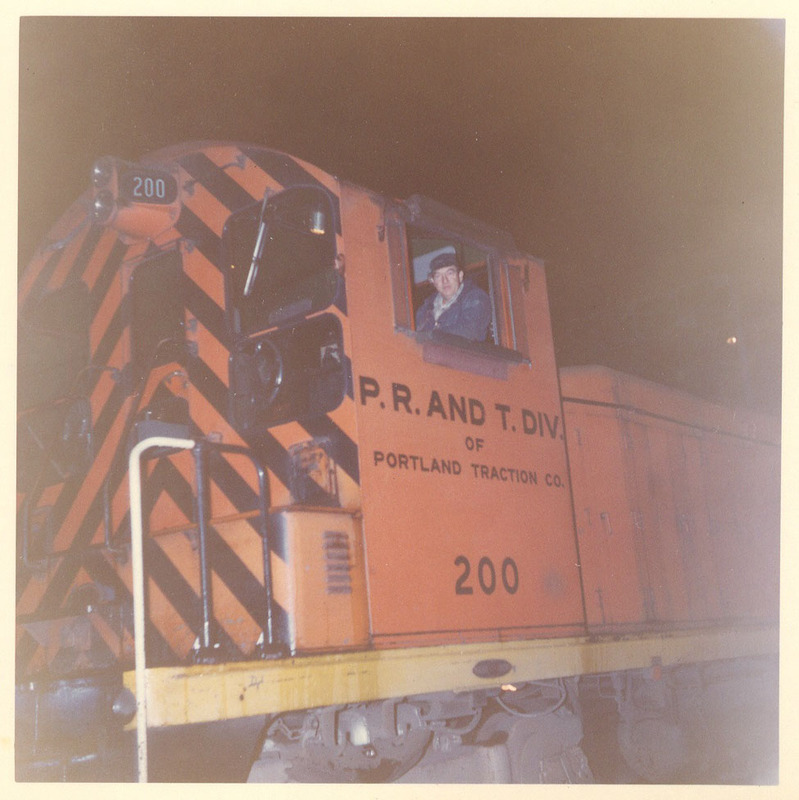 1979 about his 1-1/2" scale PTC 100. 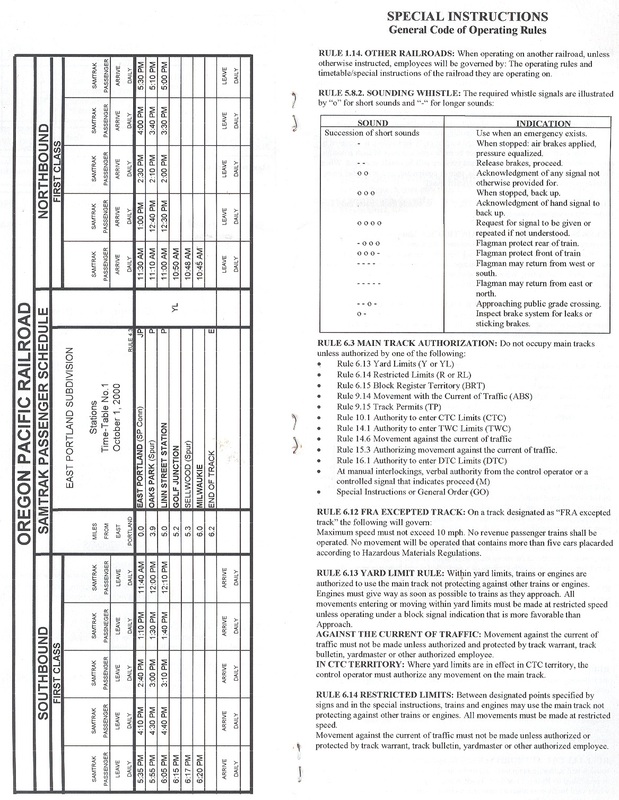 Detailed specs of an EMD SW1 from 1951, sales info for the PTC 100.
website, such as the PTC history page soon, but for now, you can view them here. 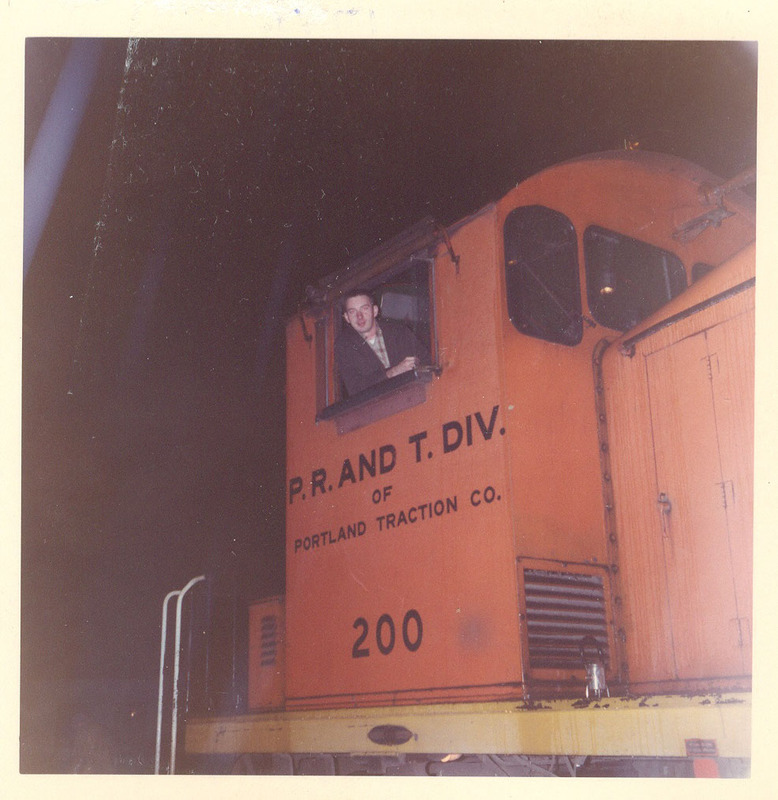 Samuels took over the Portland Traction Company railroad. 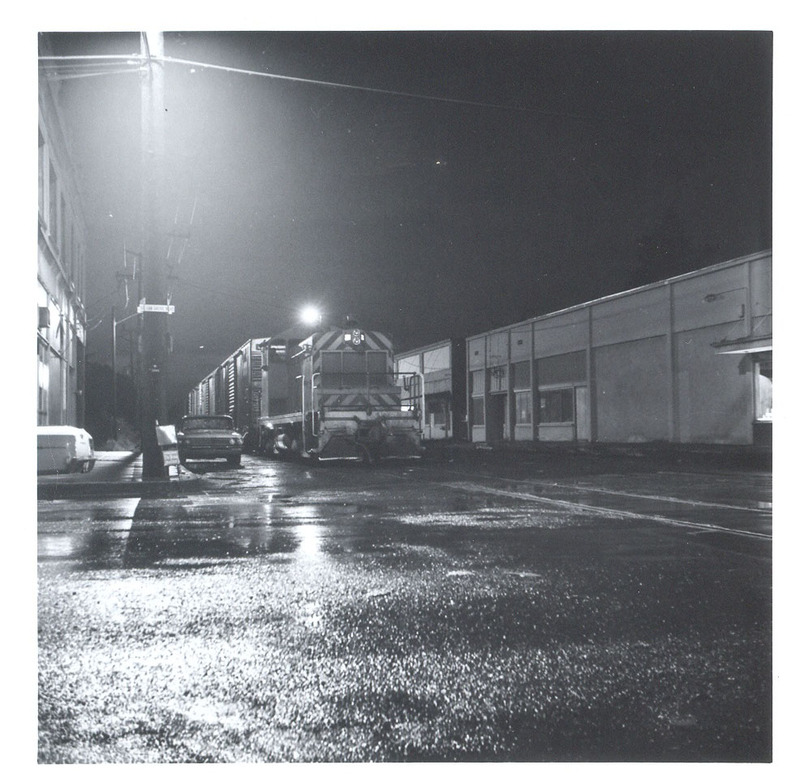 Photo is of a south bound train at Spokane Street. Division to run the branch until the No. 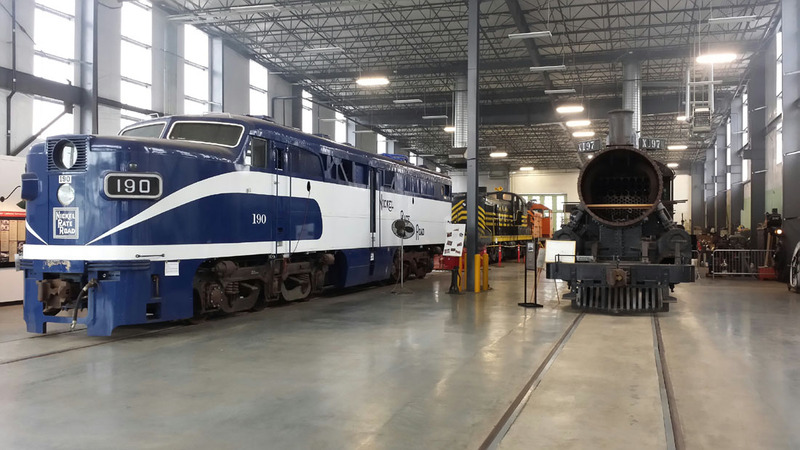 801 could be purchased, painted and brought over. 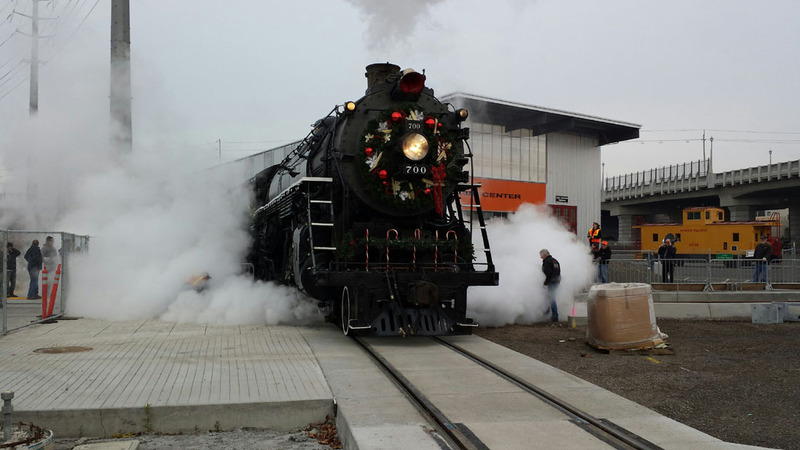 Holiday Express as it is every year as a place to keep warm for OPR volunteers and speeder operators. 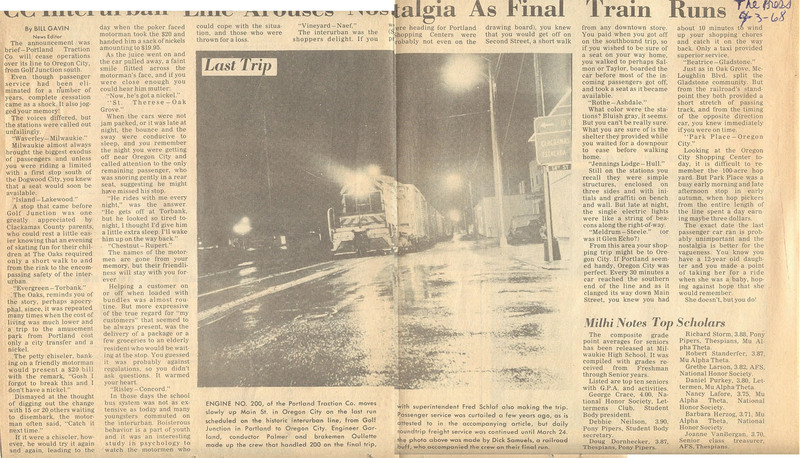 City spur to Mr. Bruun to store his car and work on it. progress as of late last week. 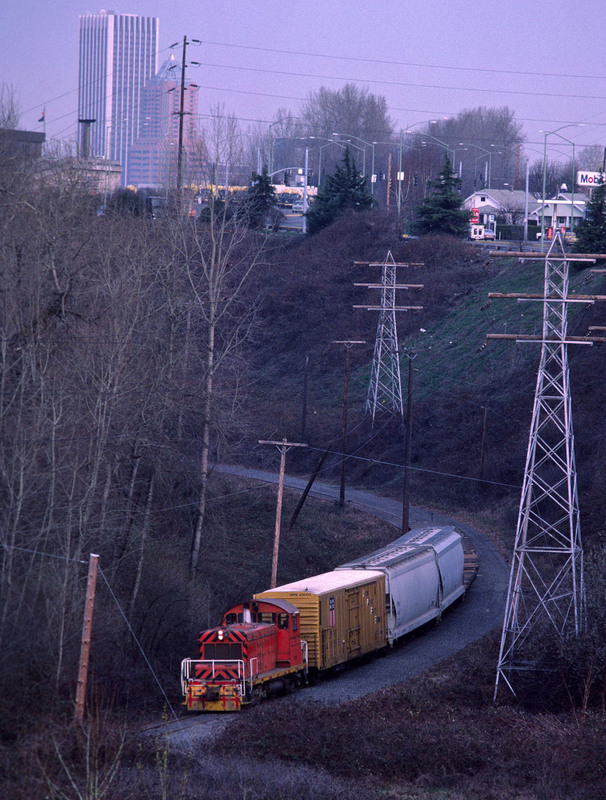 switching job, just at dusk in the pass near 13th Ave. Northbound with about 5 empties. 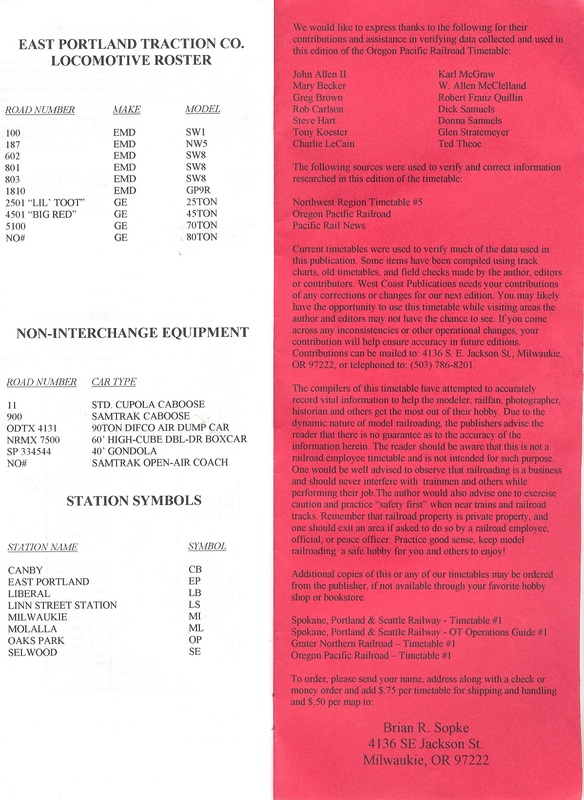 Passenger Train Operations Page for more info. 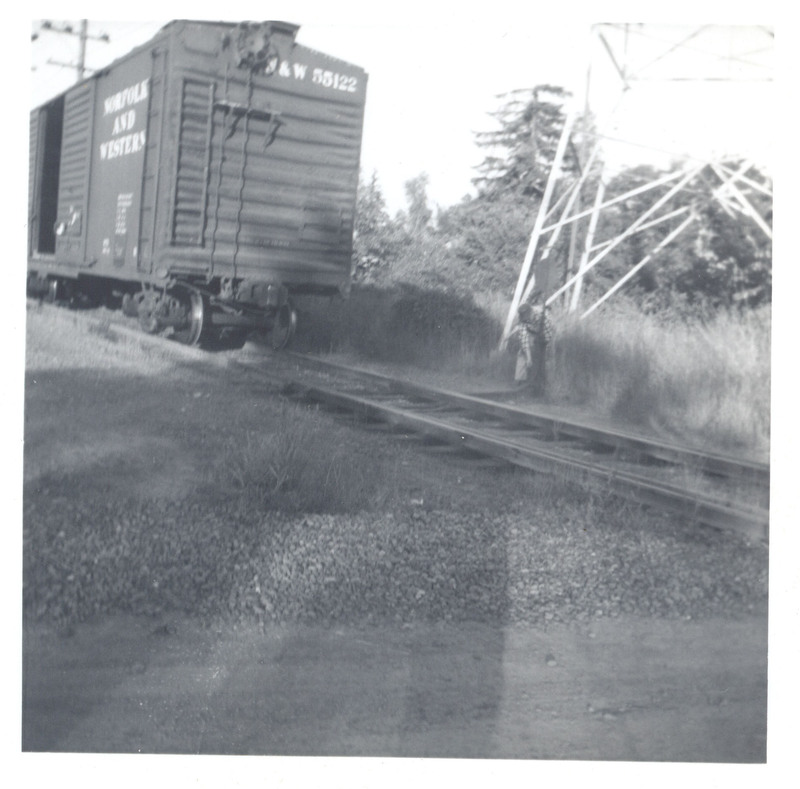 Station as a passenger shed and several spurs take off from there south into the Eastside Lumber Co. Mill. continue for approximately another month before its finished. 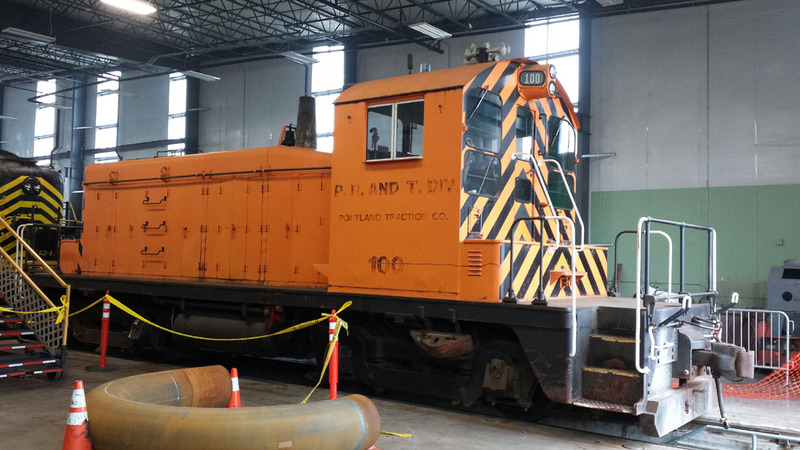 significant investment in the East Portland Division, exclusively to handle the heavy steam locomotives. ORHF held it's annual volunteer safety meeting for the up coming Holiday Express yesterday at the ORHC. Many Volunteers were in attendance. Everything seems to be progressing smoothly for the start of next week's major event. 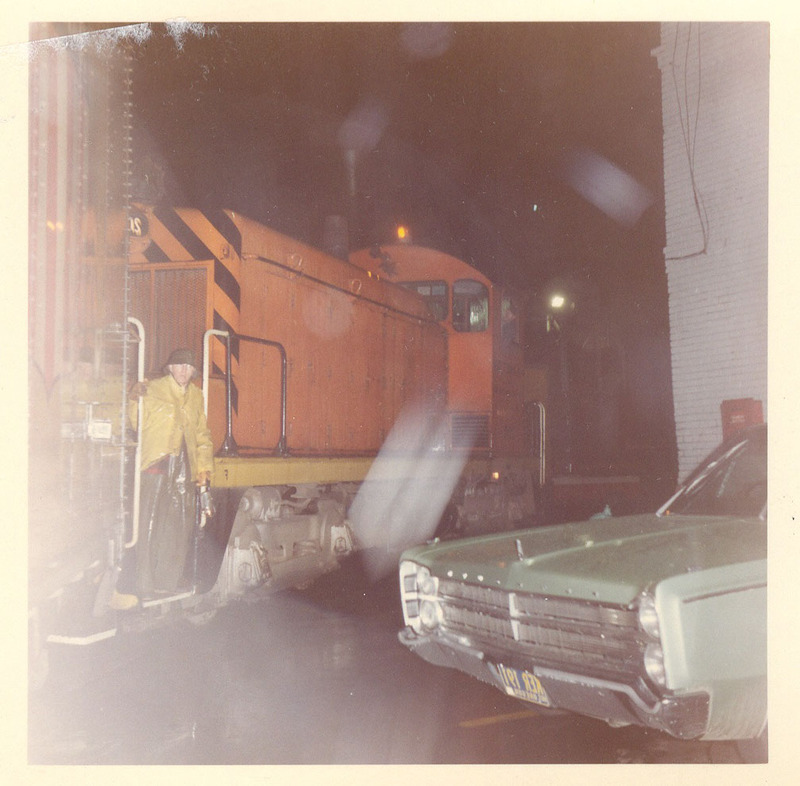 laying rail and concrete ties and concrete foundations heading east from the OPR diamonds. 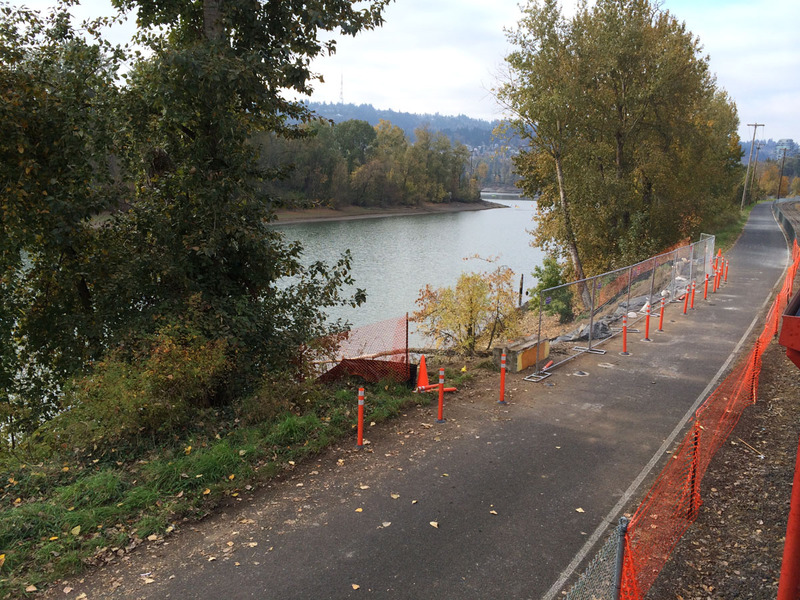 The slide repair on the springwater trail next to the OPR tracks near Holegate curve appears to be nearly complete. tables removed for the time being. 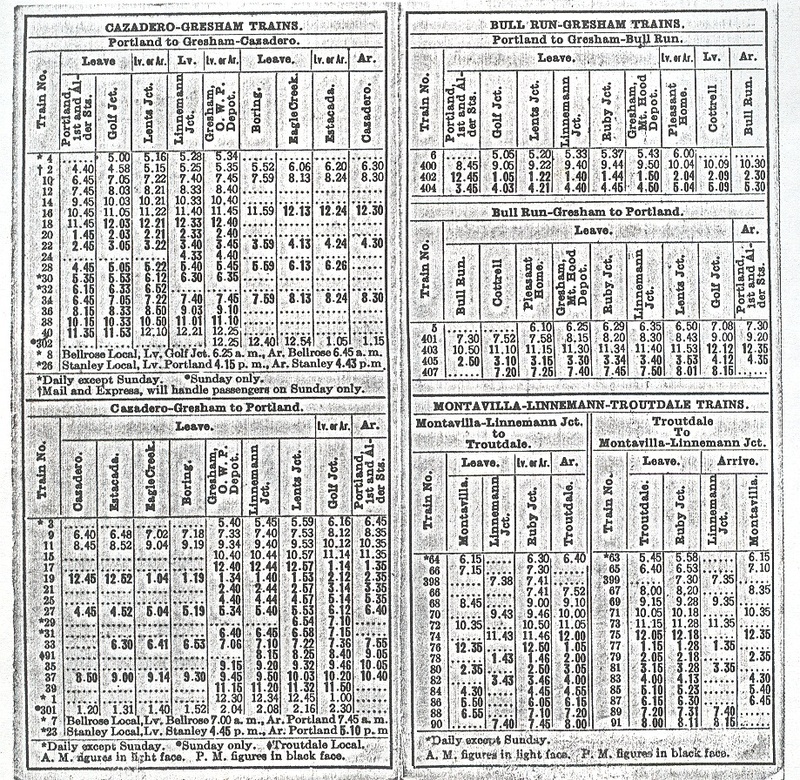 Additional seating exists in a secretaries room and a servant rest cabin. new home under construction next to the tracks. 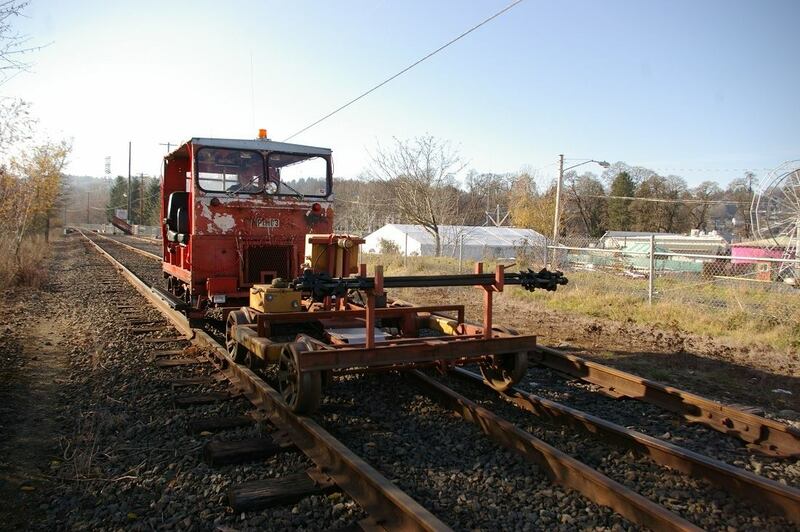 tamping done in recent weeks in addition to prior years, we don’t anticipate any problems at all this year. 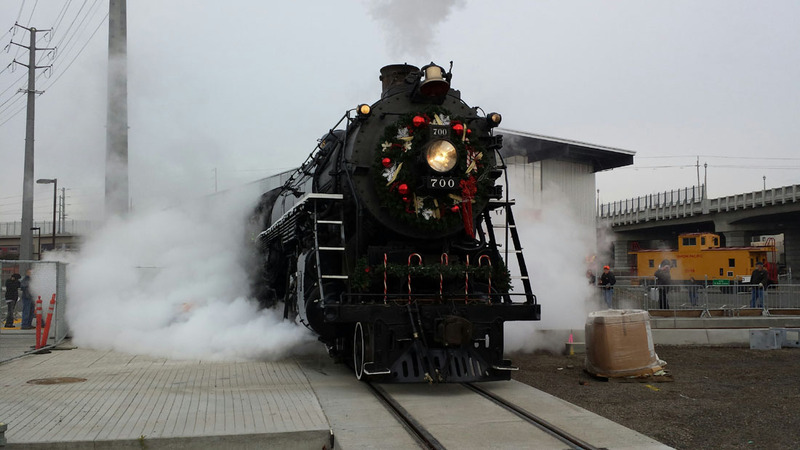 Holiday Express officially begins today! Hope you all had a great Thanksgiving! 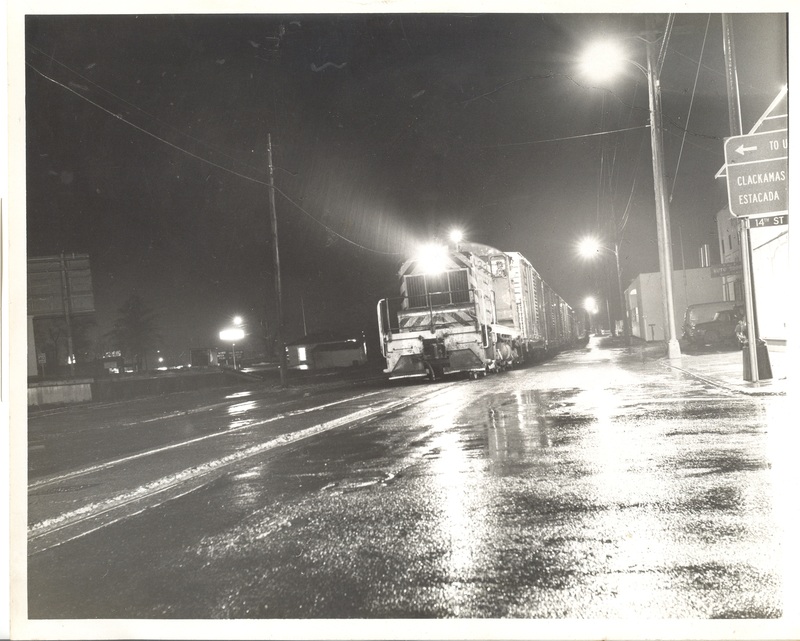 during the Holiday Express. Photos by Kevin Novak. 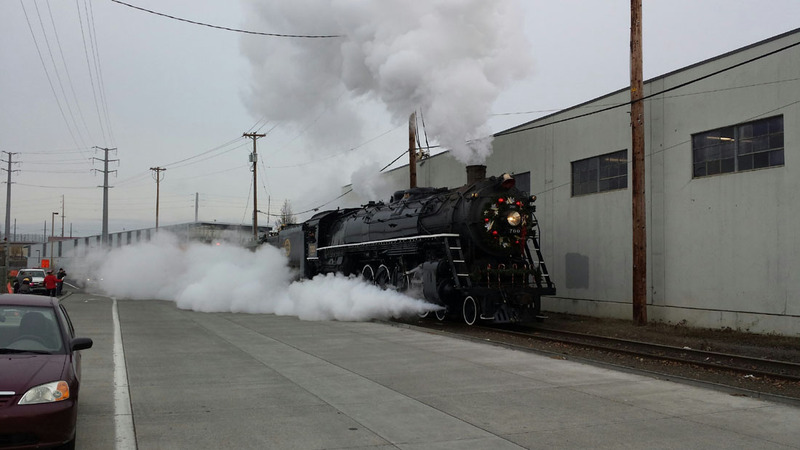 preserve and maintain the three historic Portland owned steam locomotives and will continue to do so. Thanks to all of the volunteers for making this event run smoothly and we'll see you all next year! More photos of this event can be found on the OPR's Facebook Page. 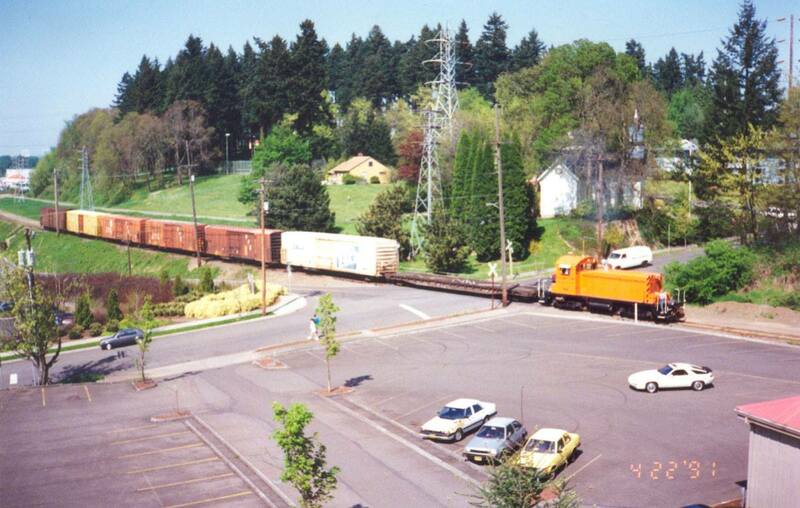 between the Oregon Rail Heritage Center and approximately Oaks Amusement Park. Station, unless by special arrangement. first come first served basis in the event that the train is over capacity. next year and pricing has not been determined yet.